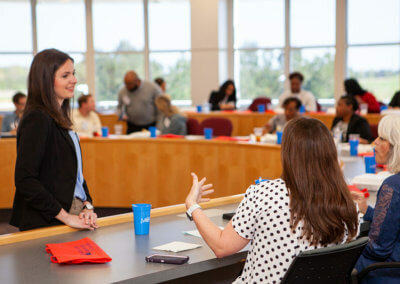 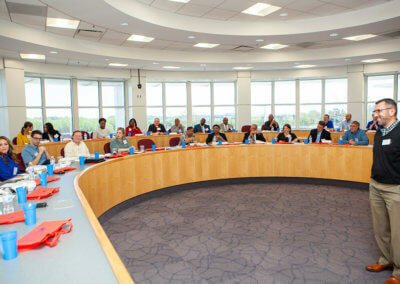 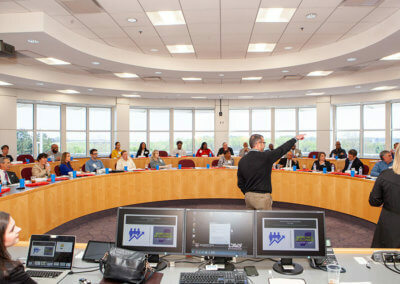 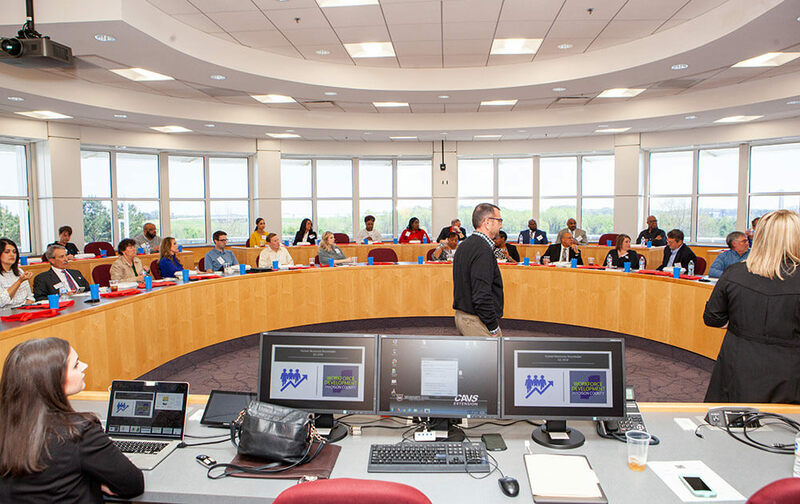 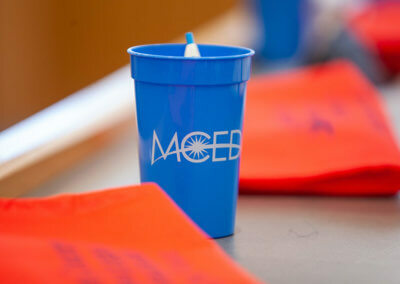 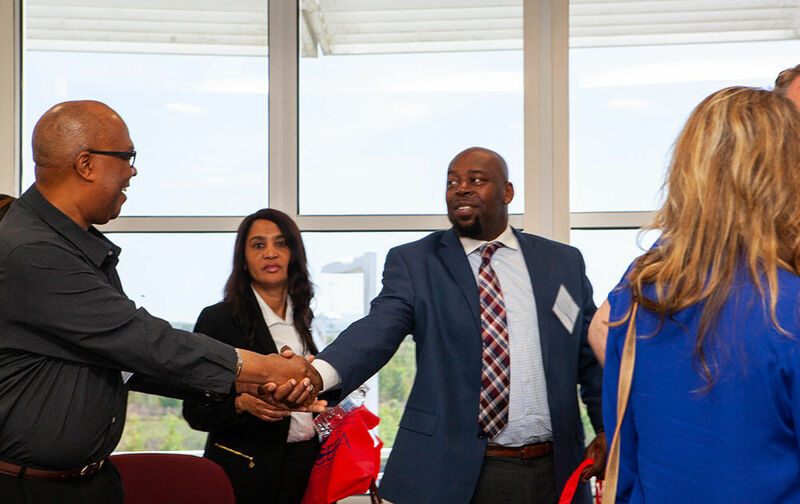 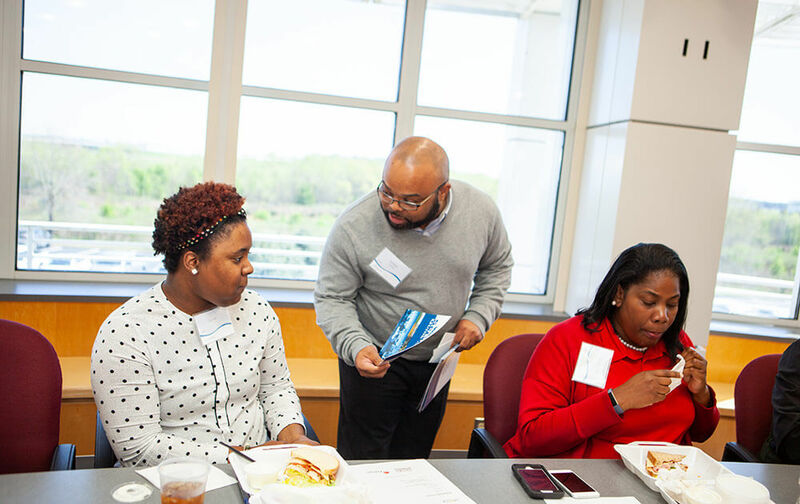 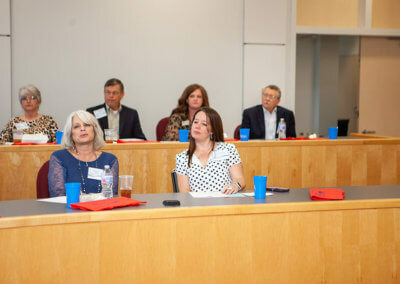 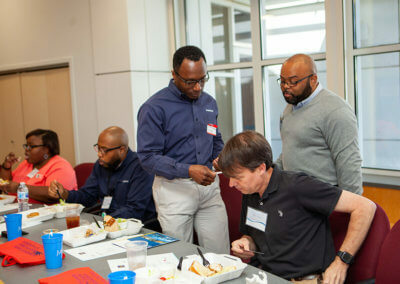 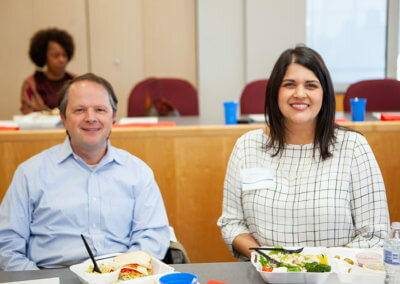 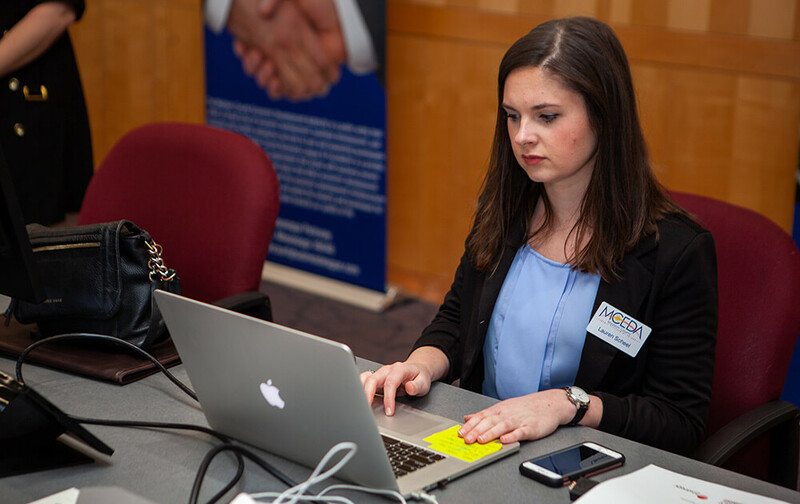 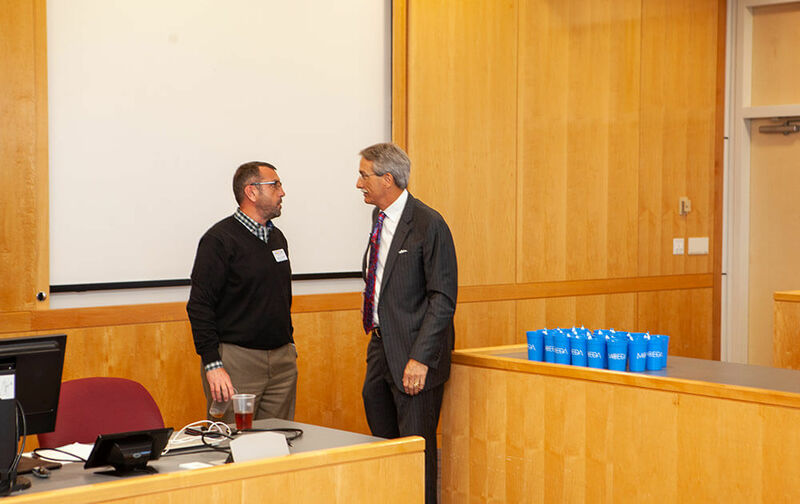 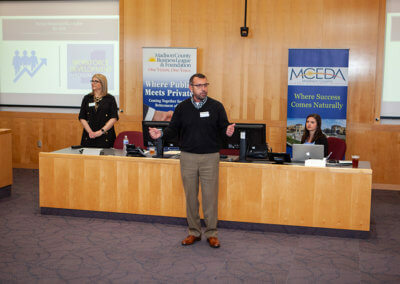 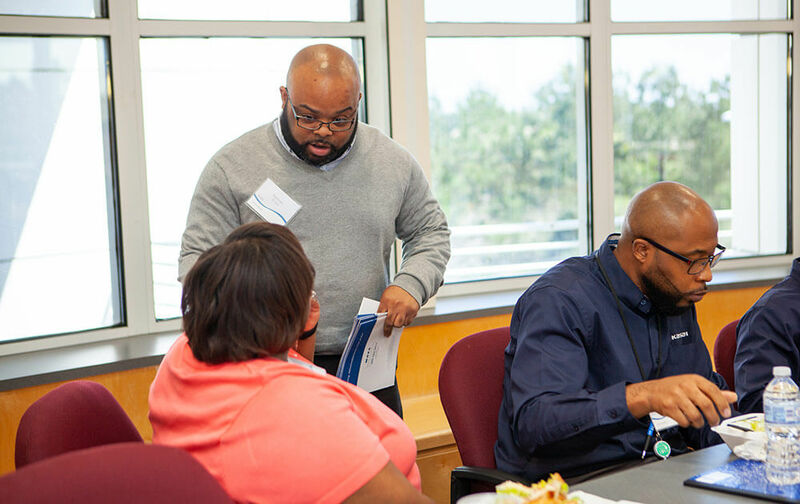 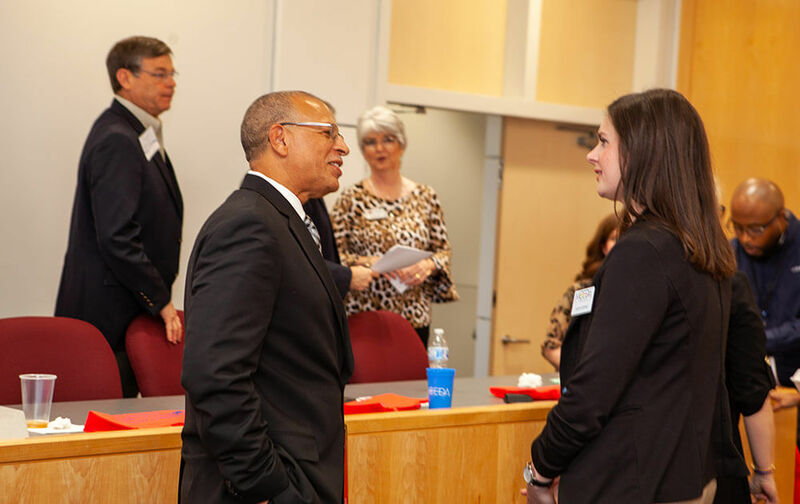 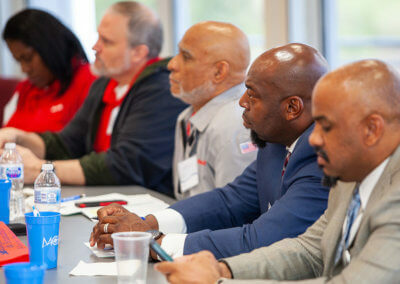 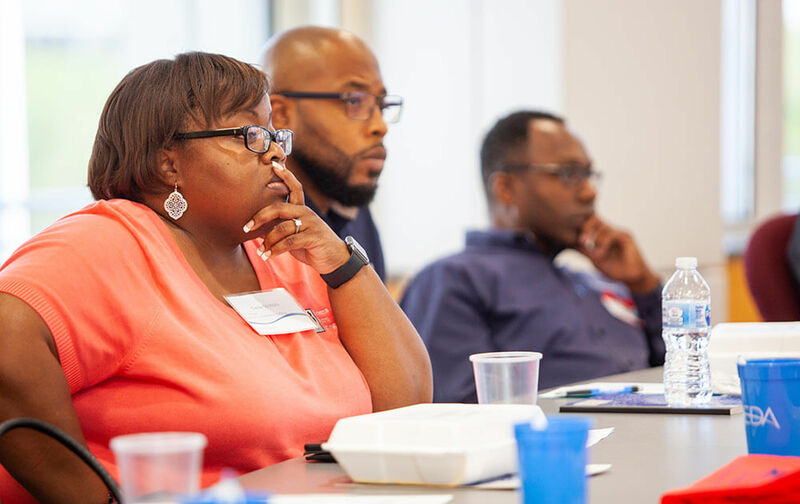 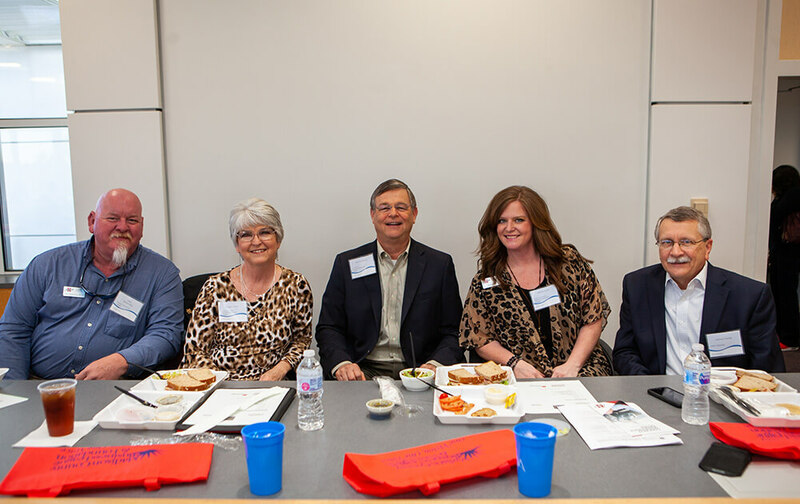 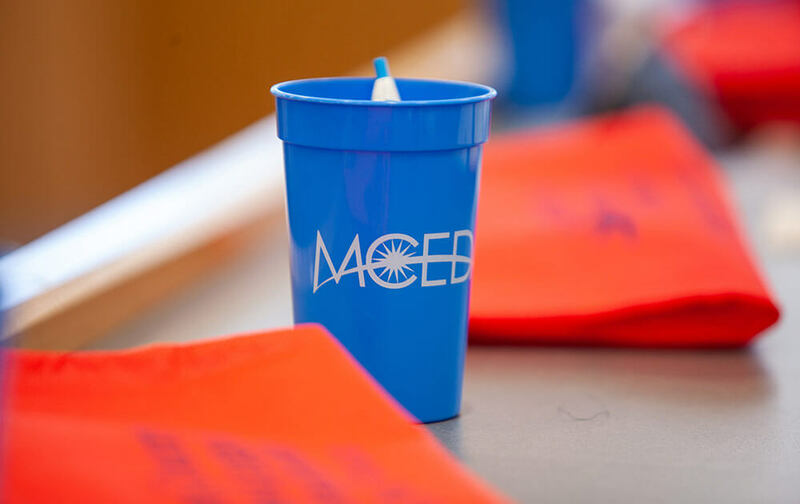 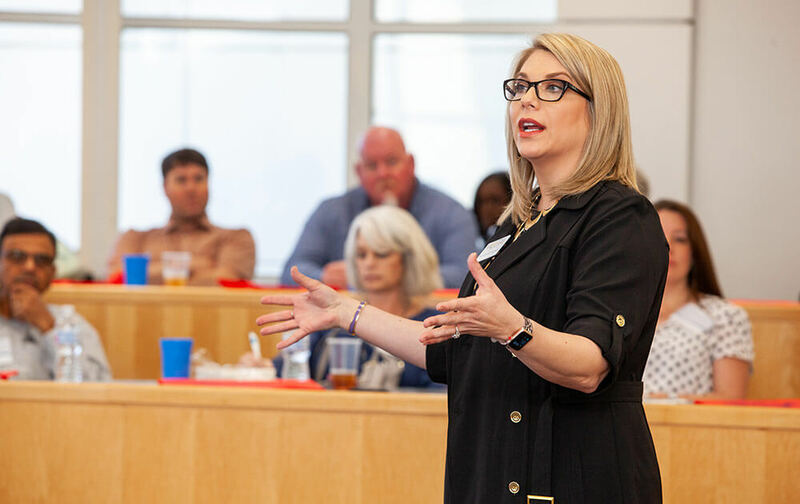 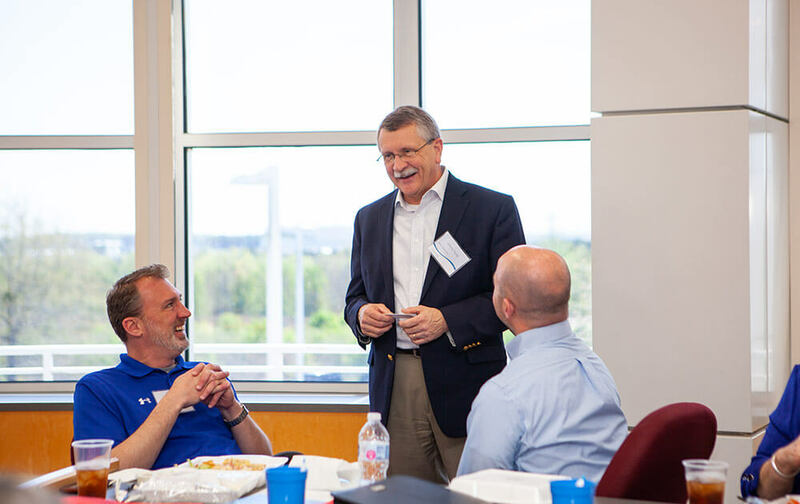 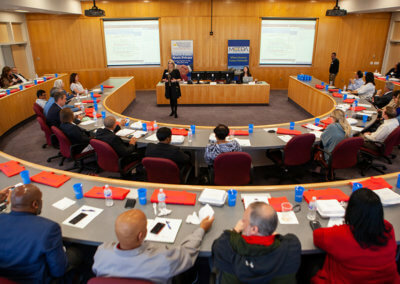 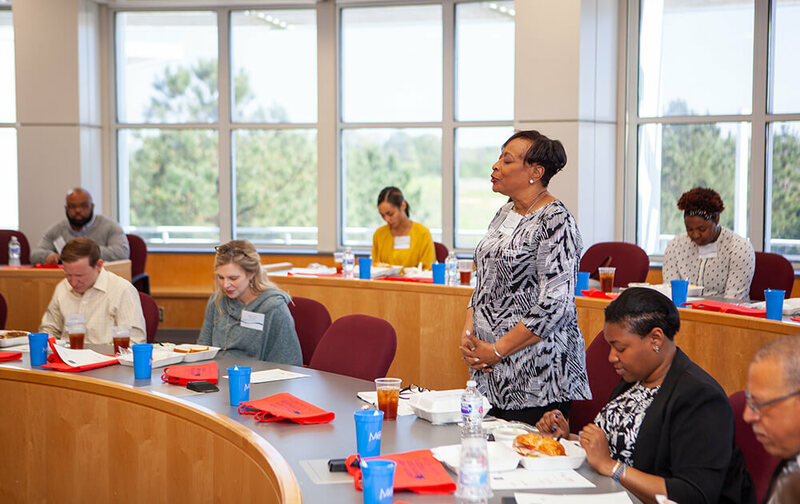 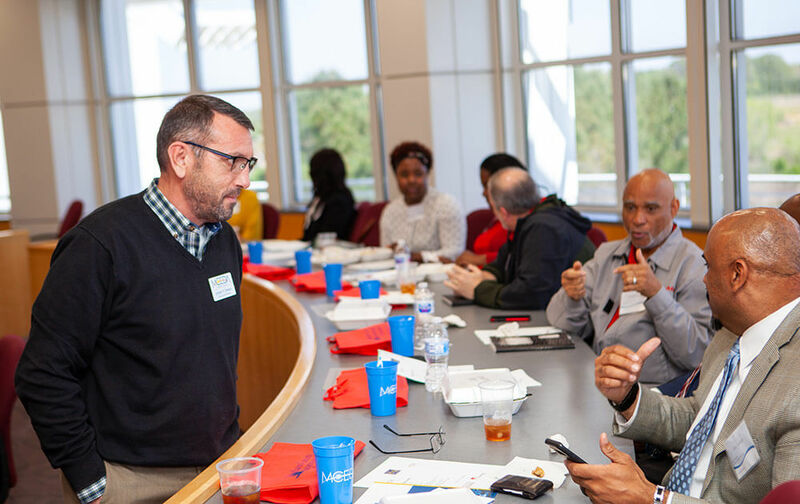 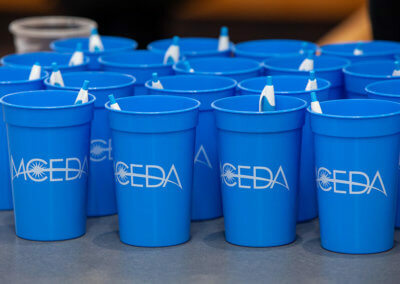 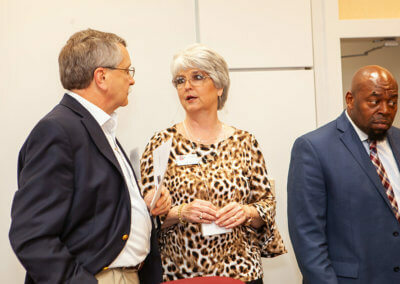 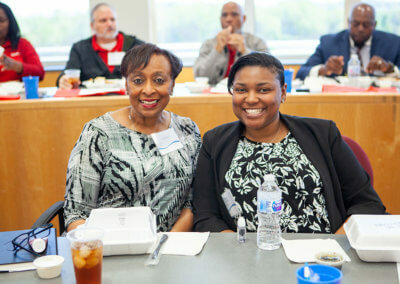 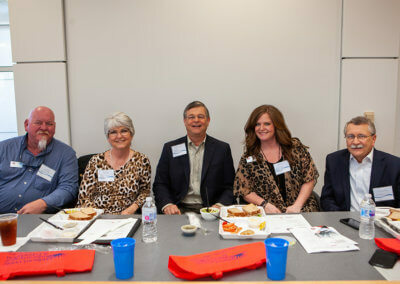 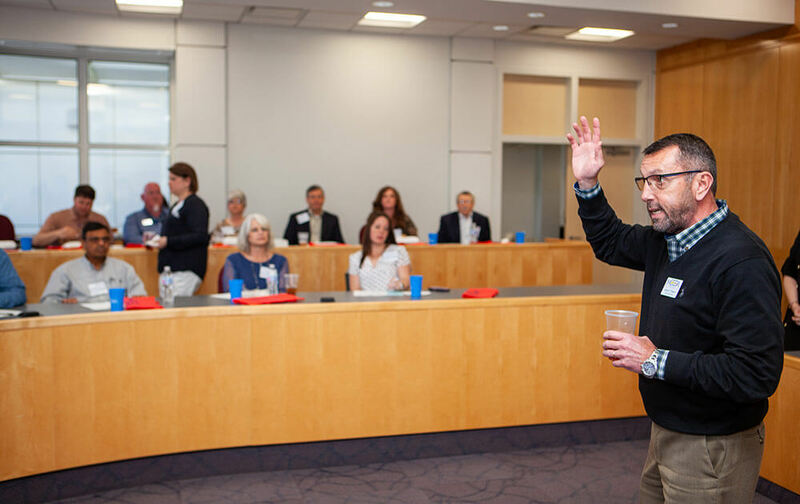 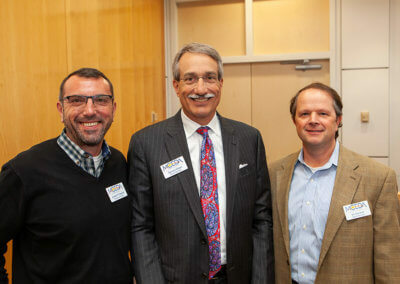 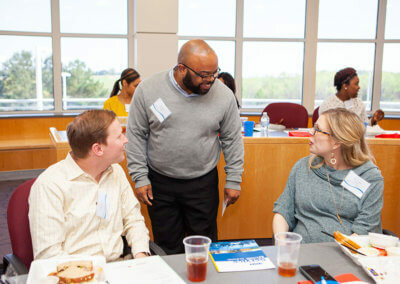 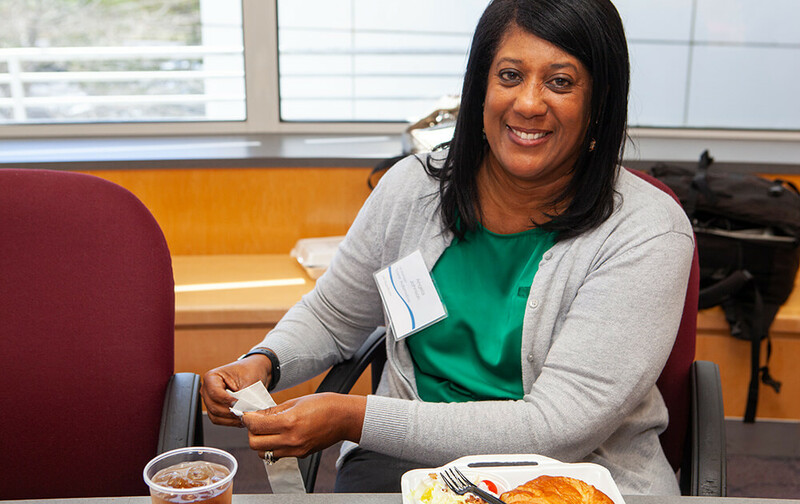 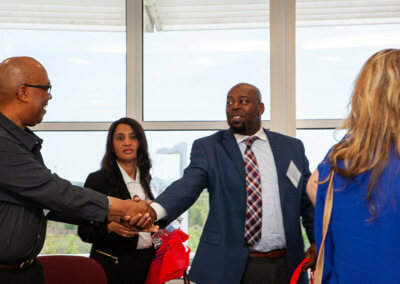 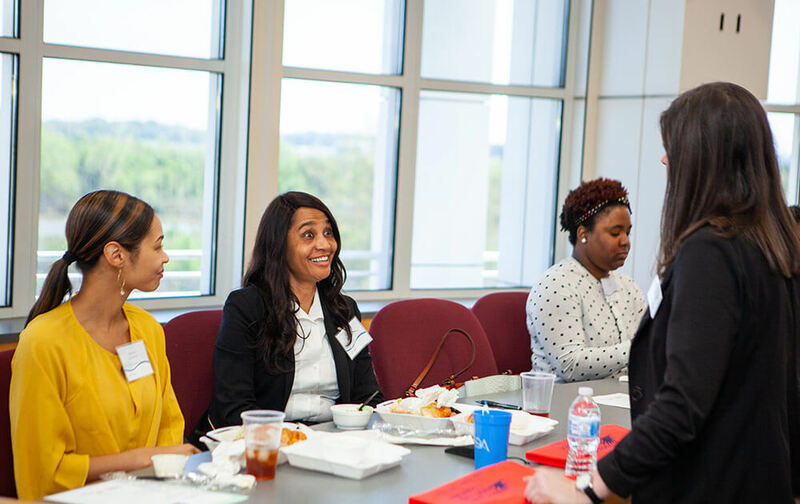 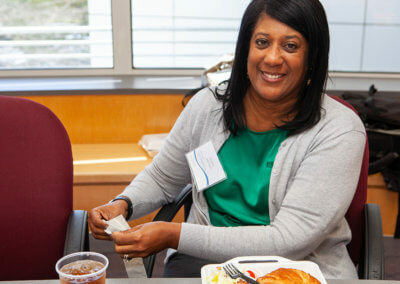 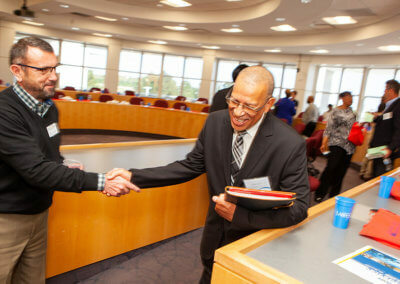 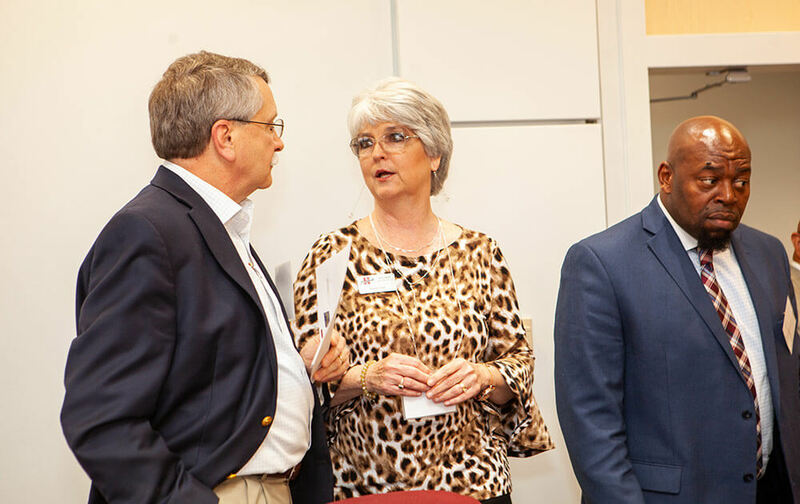 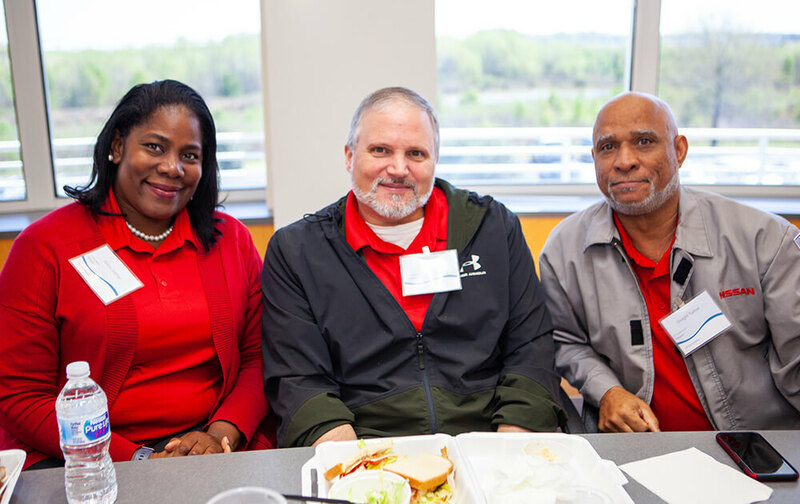 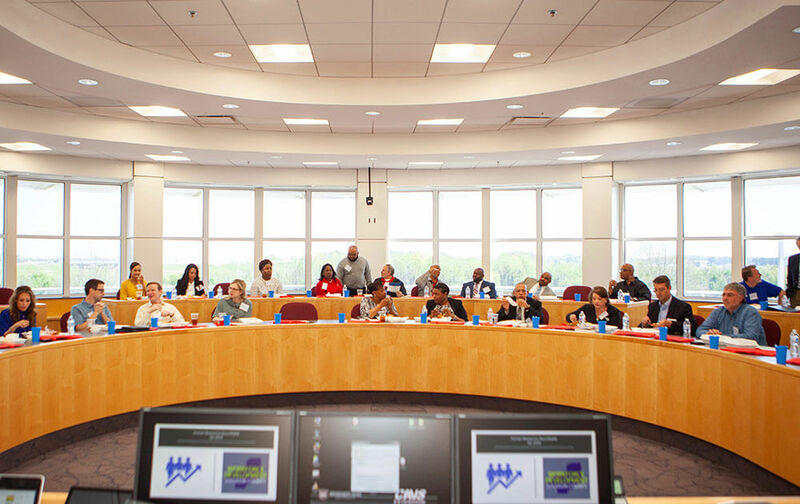 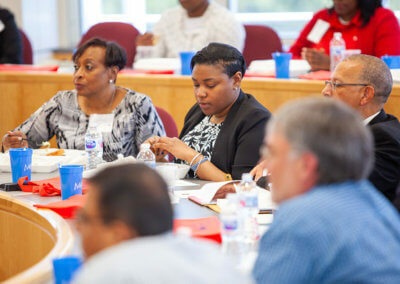 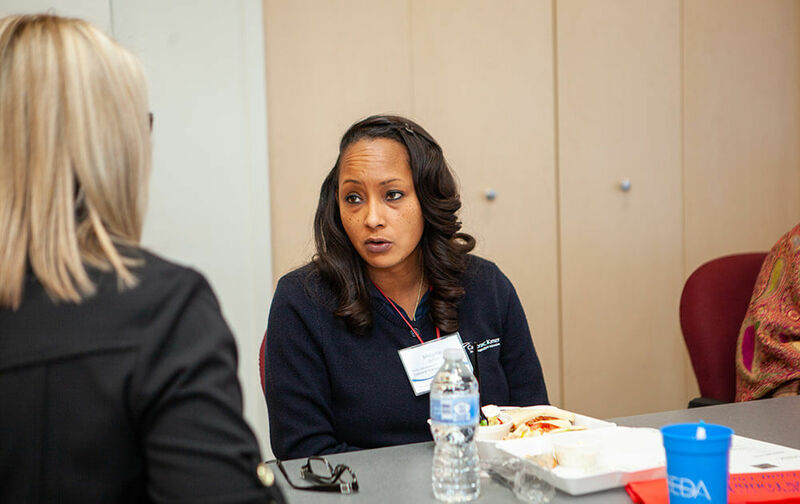 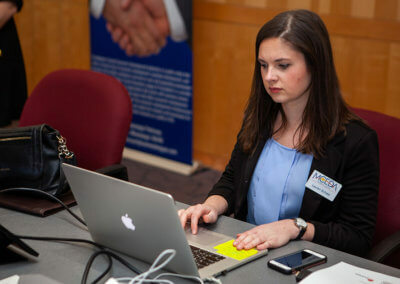 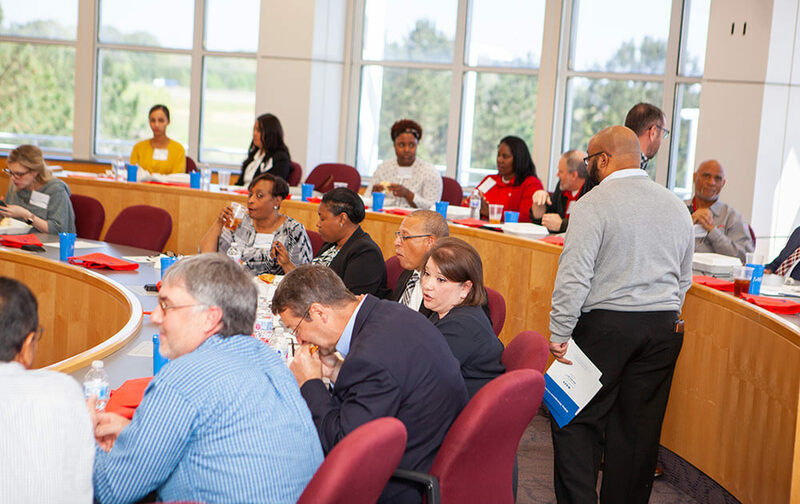 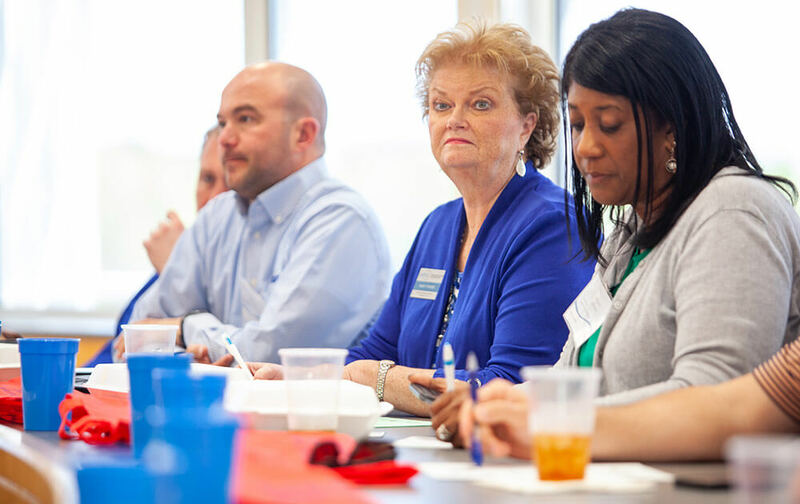 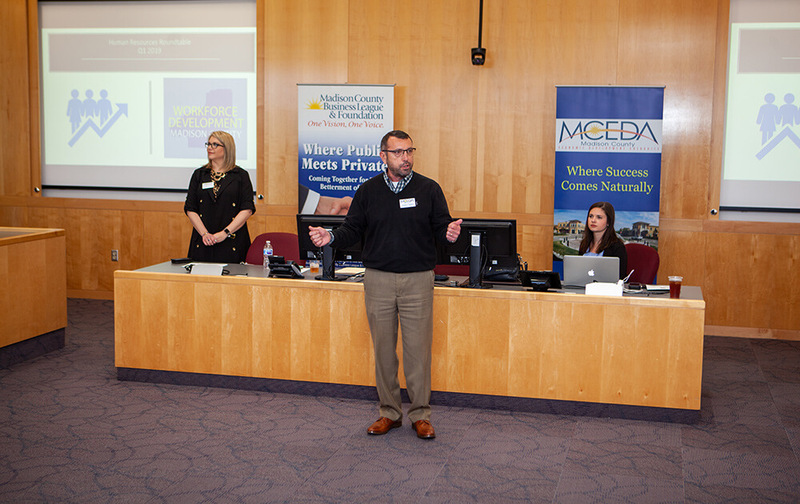 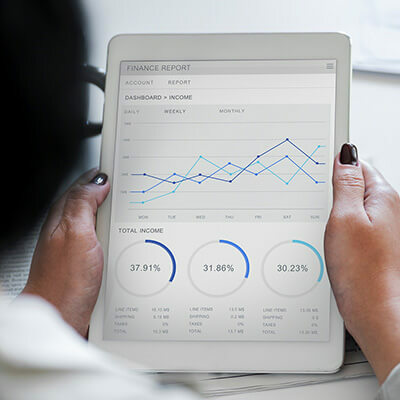 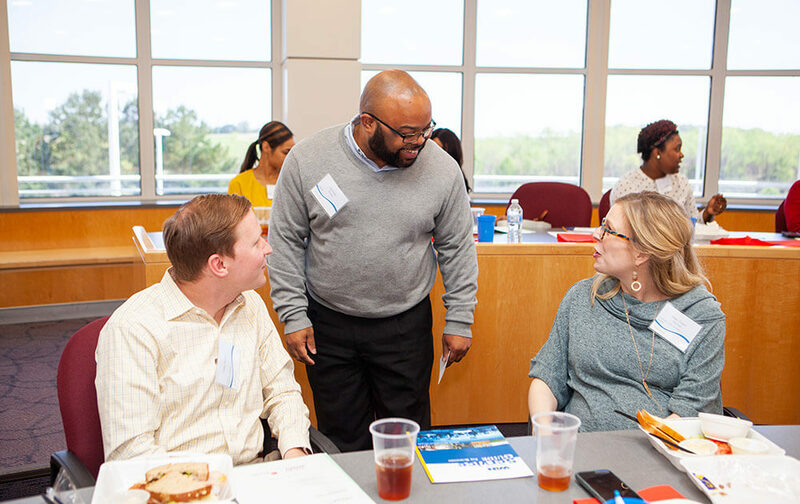 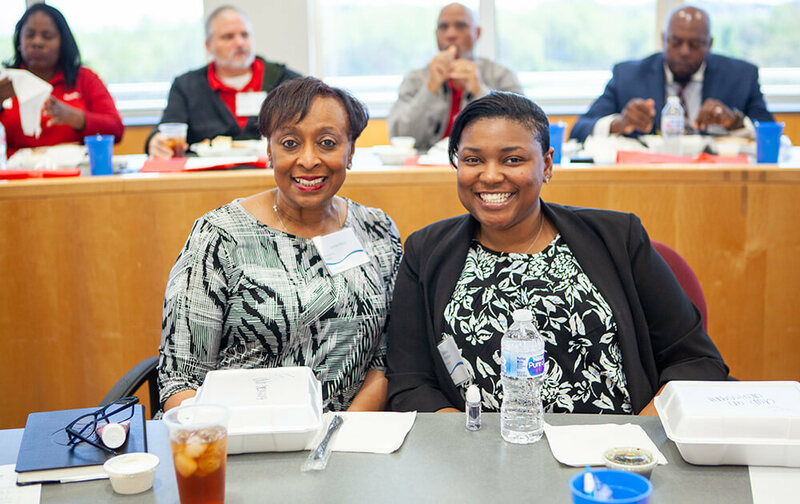 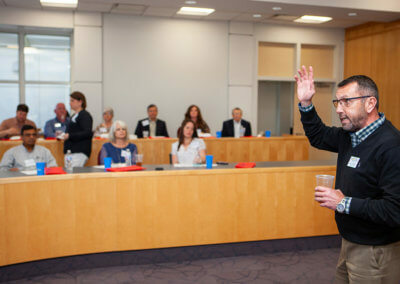 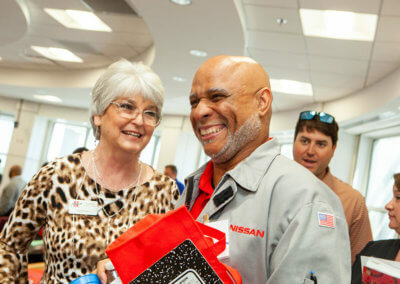 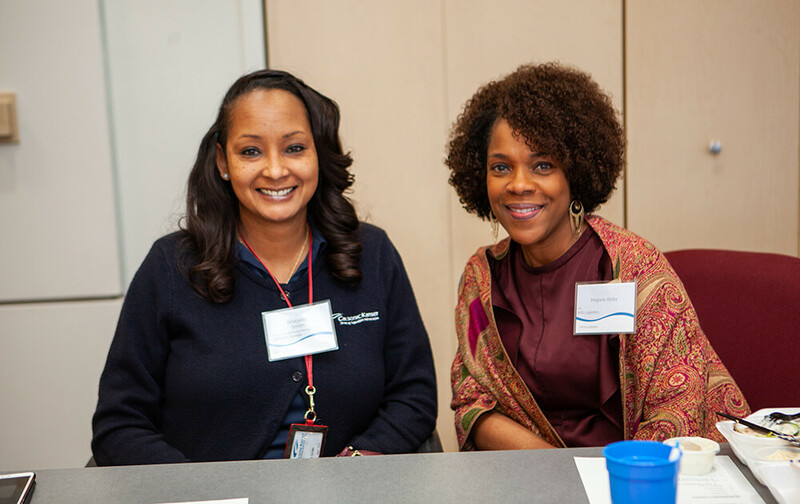 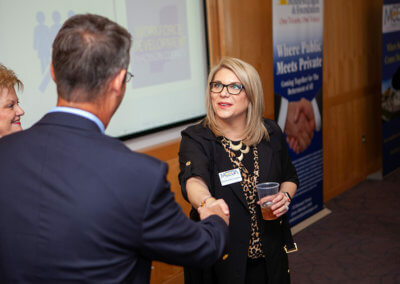 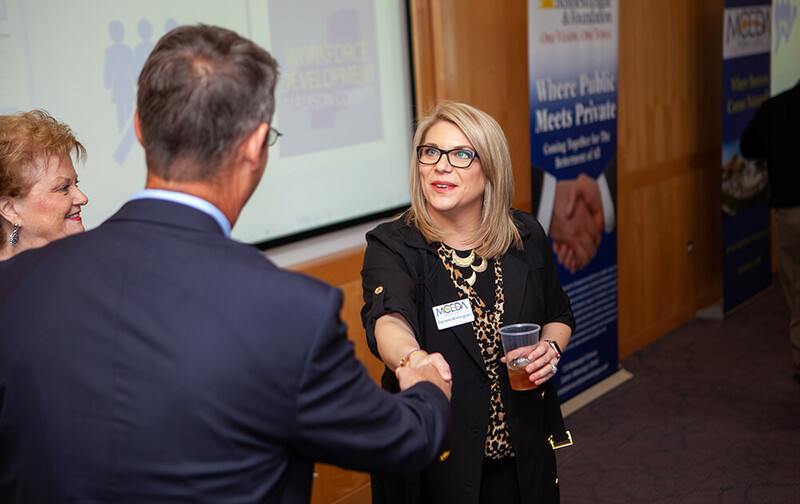 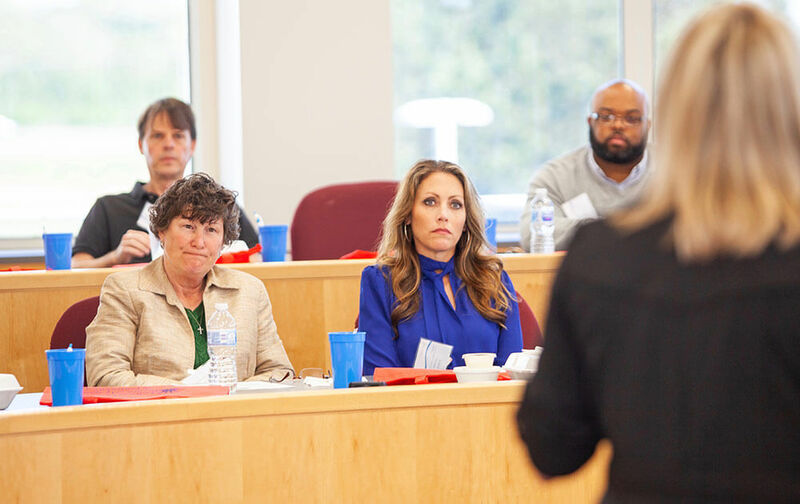 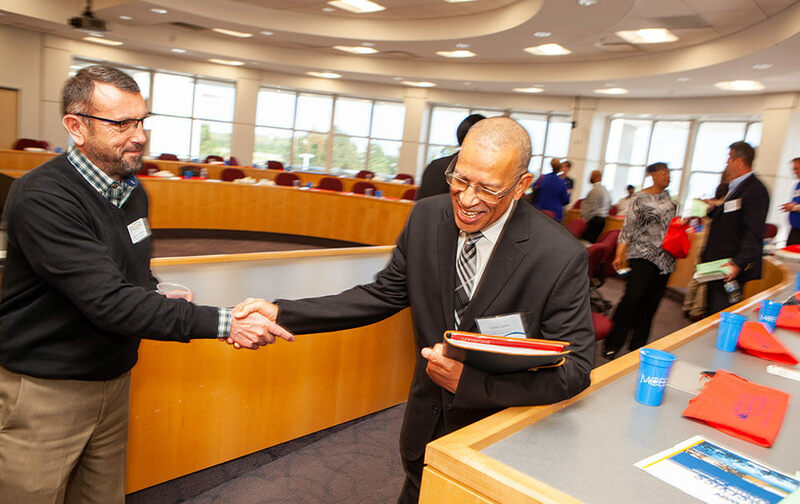 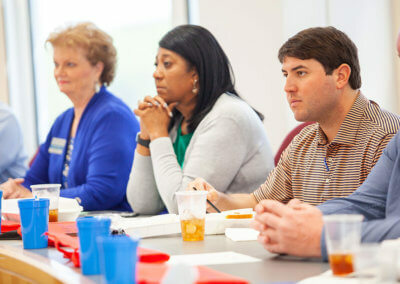 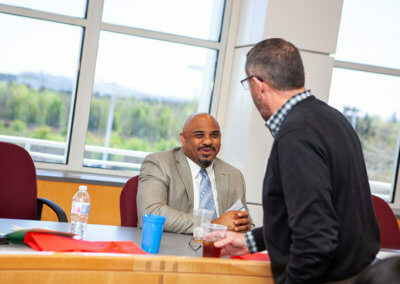 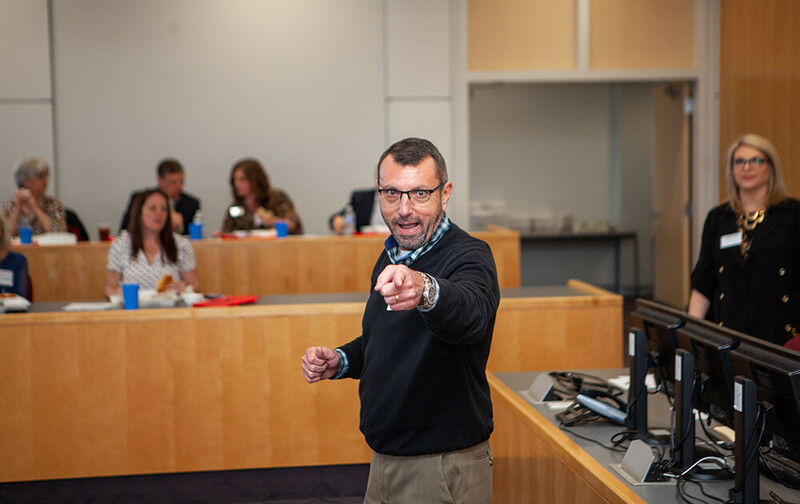 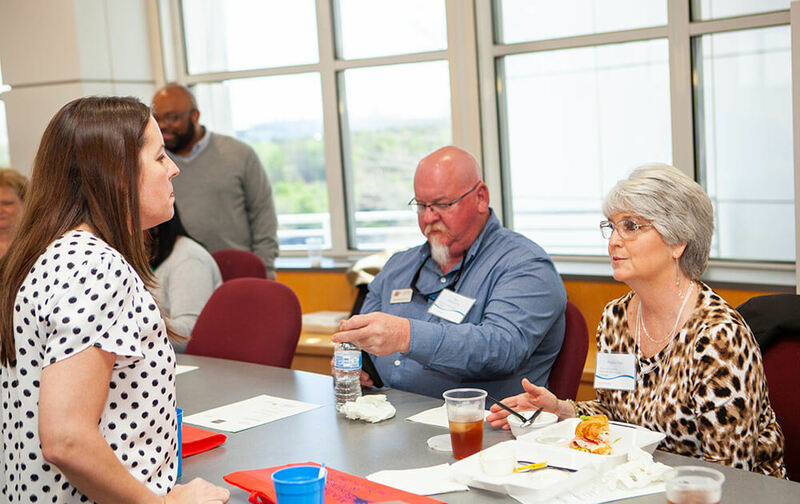 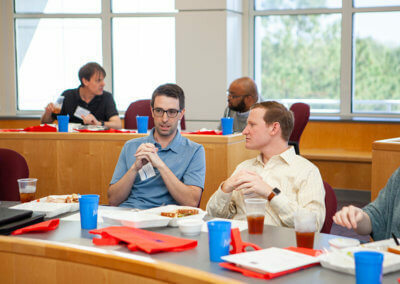 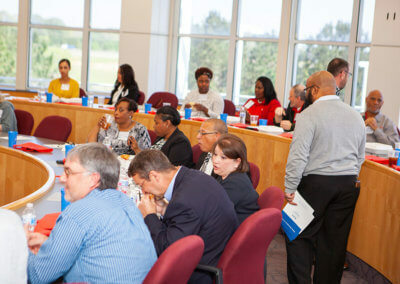 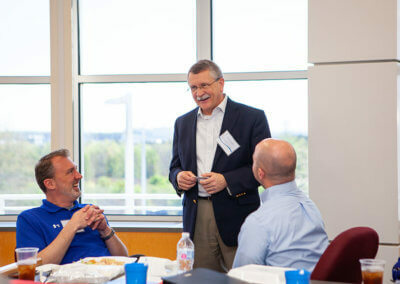 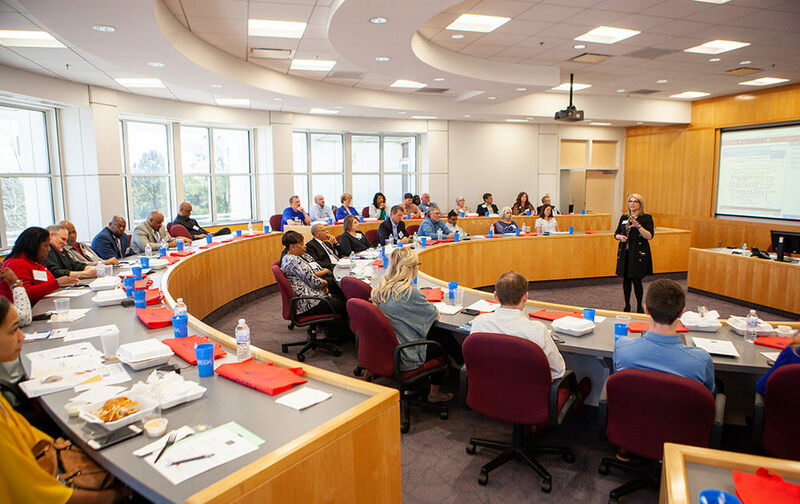 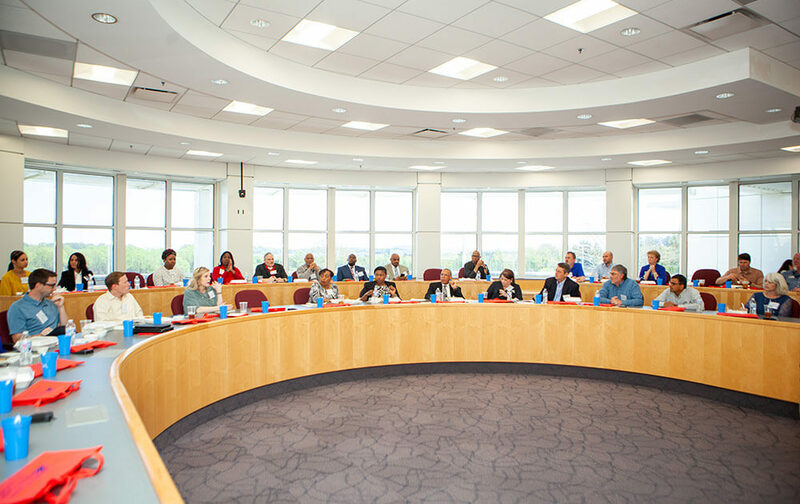 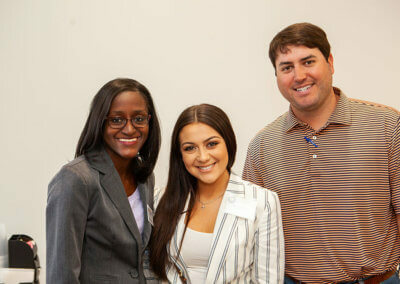 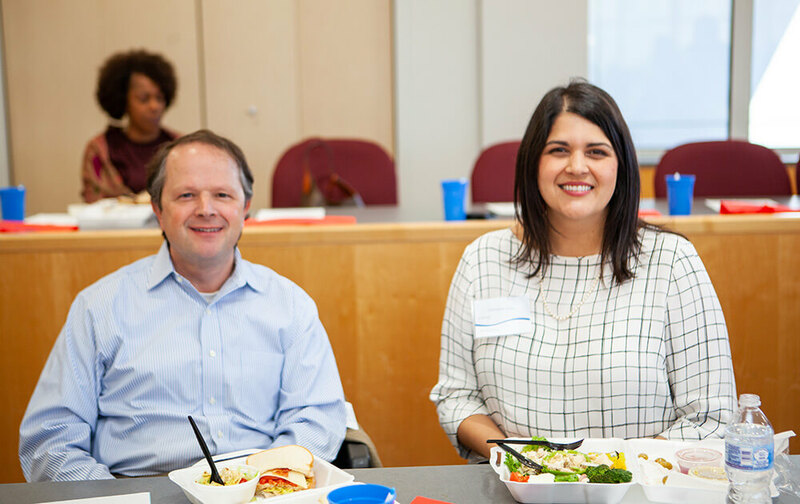 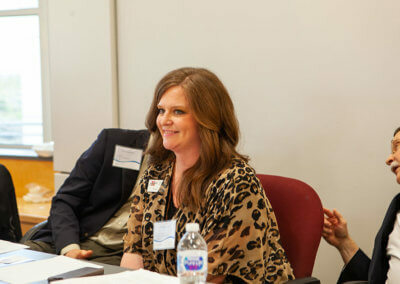 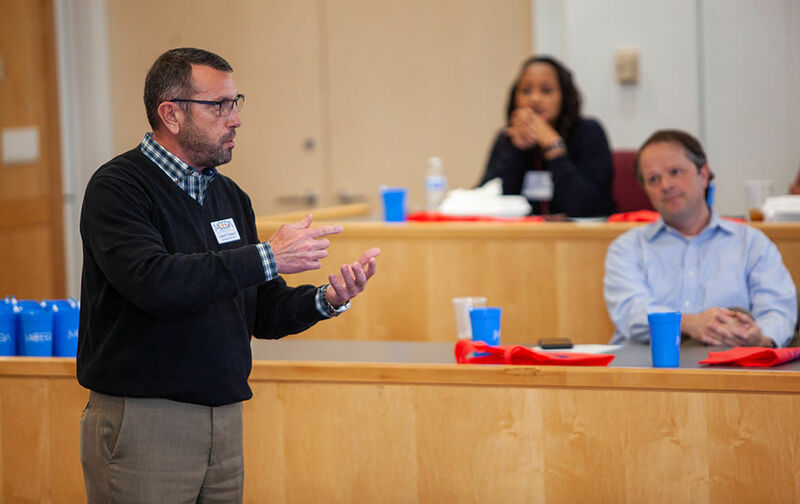 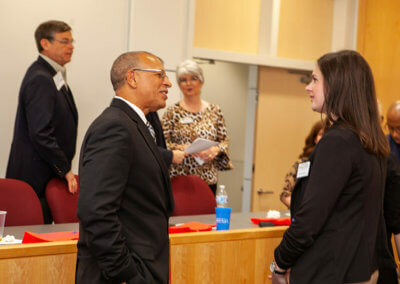 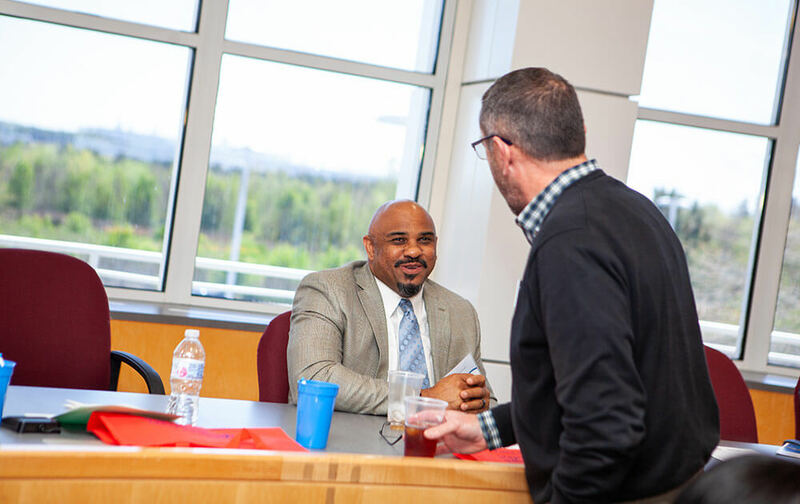 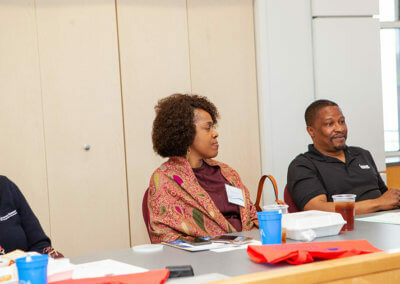 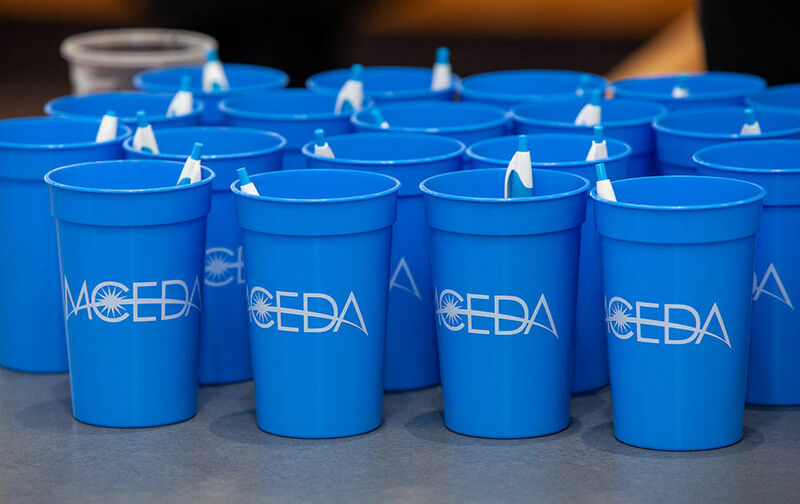 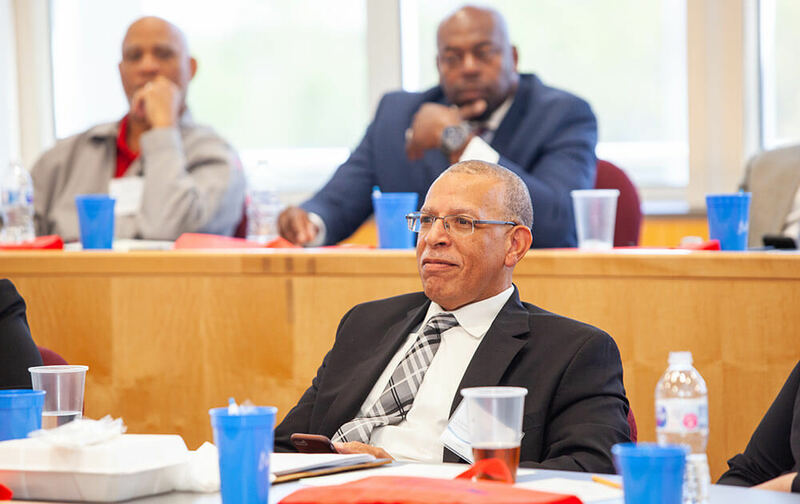 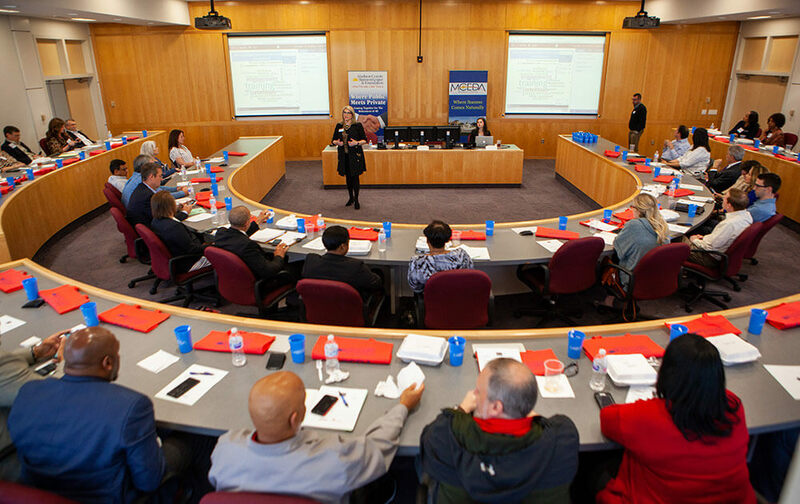 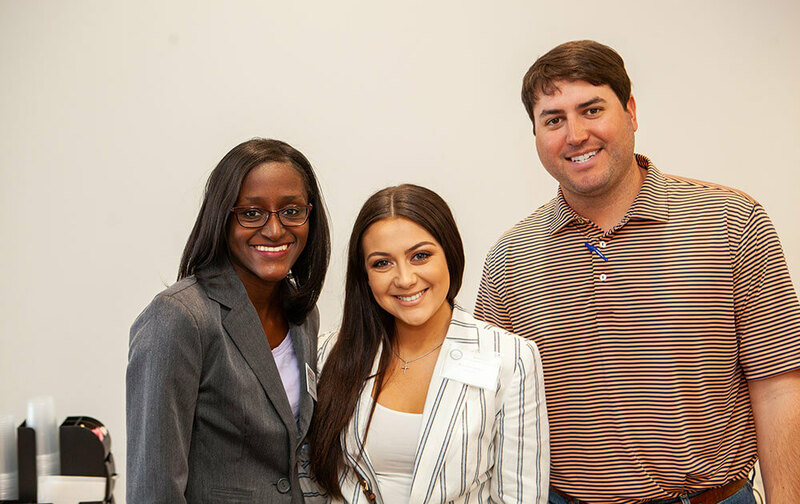 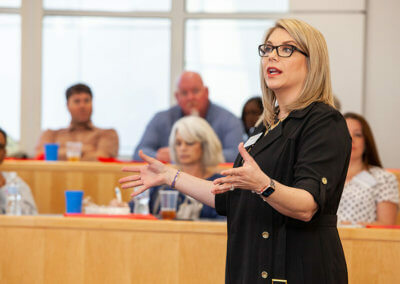 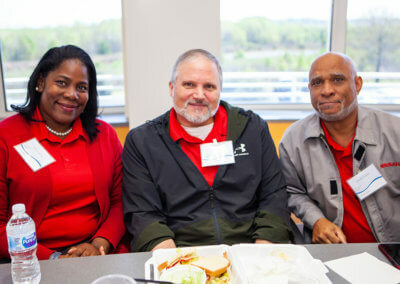 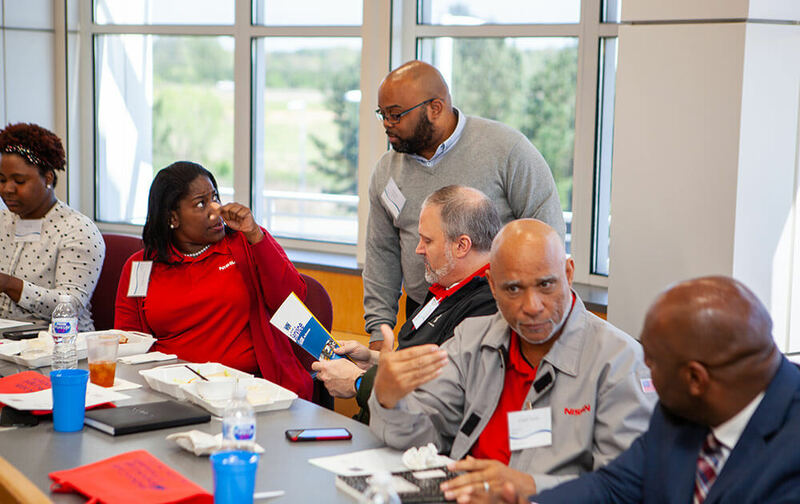 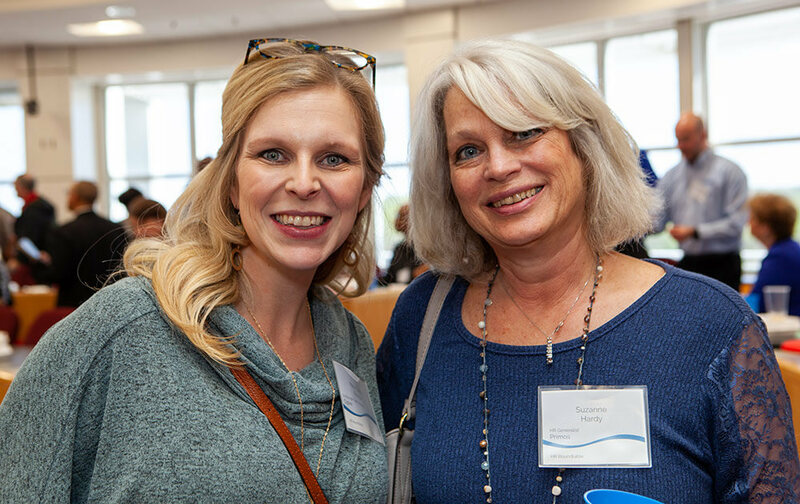 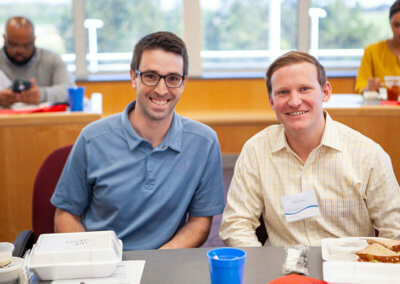 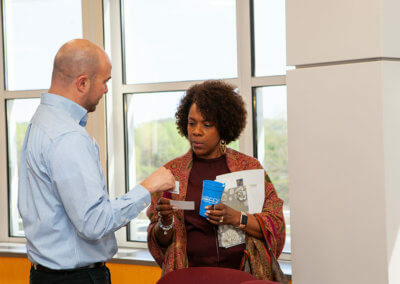 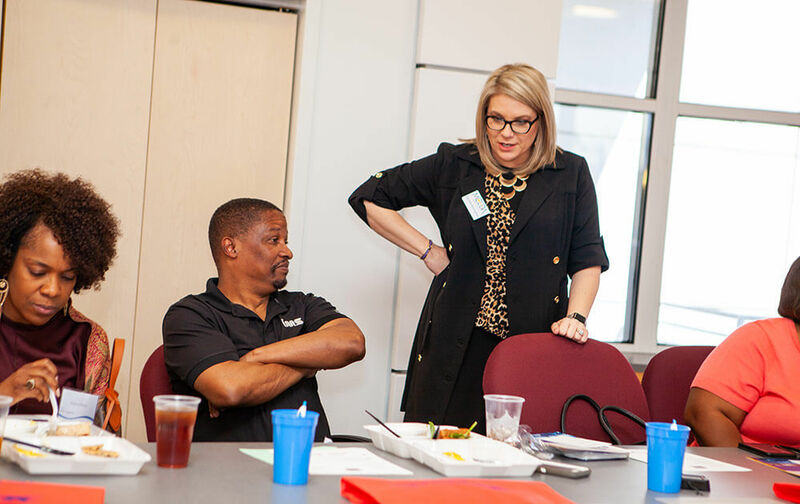 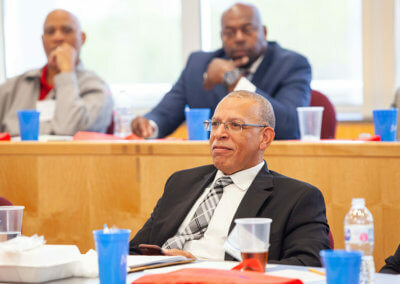 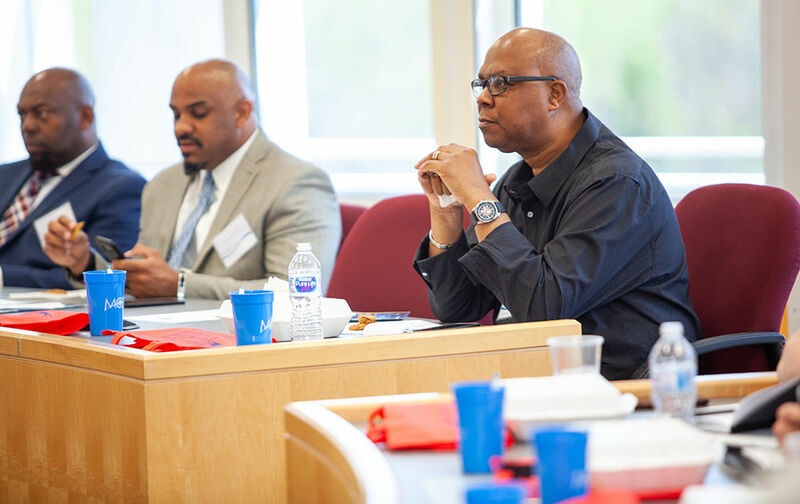 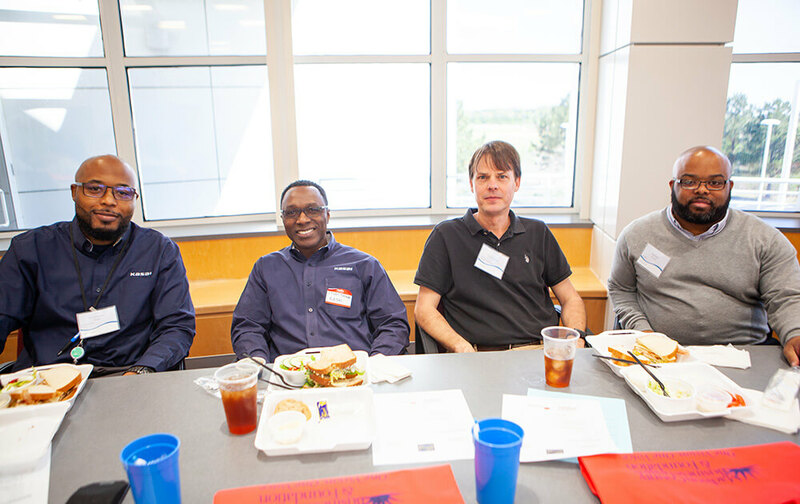 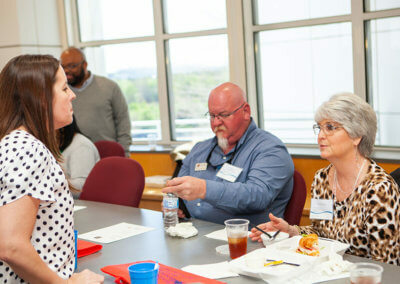 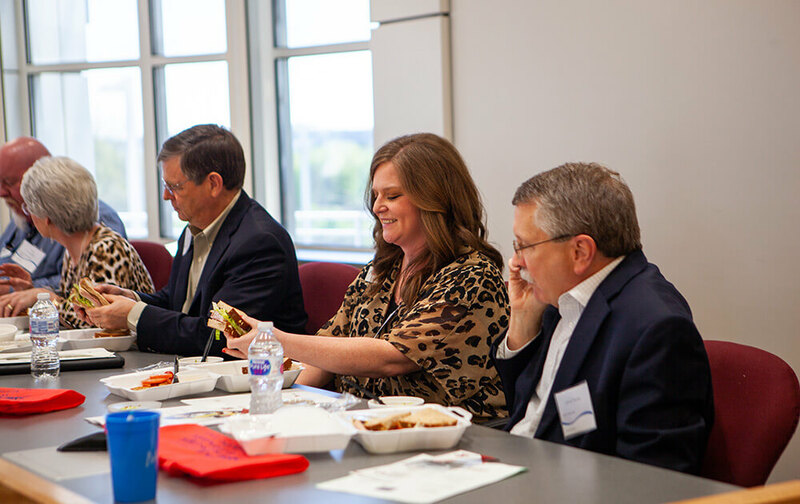 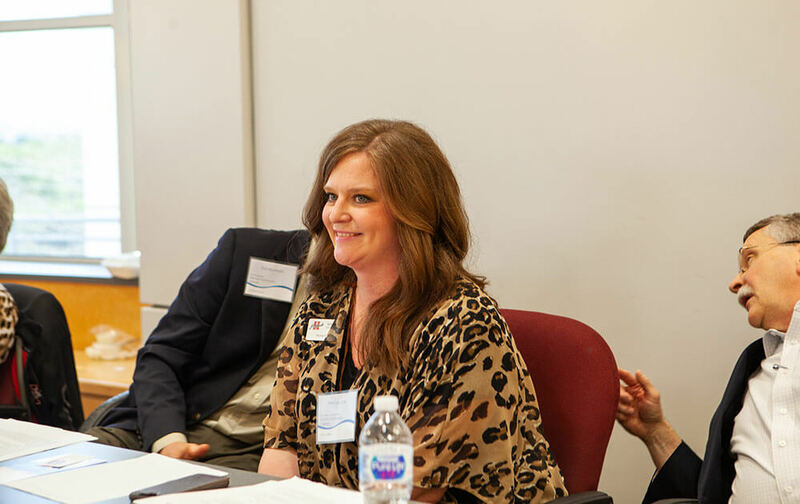 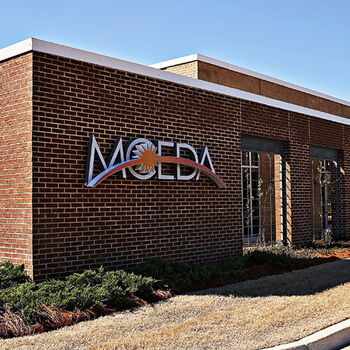 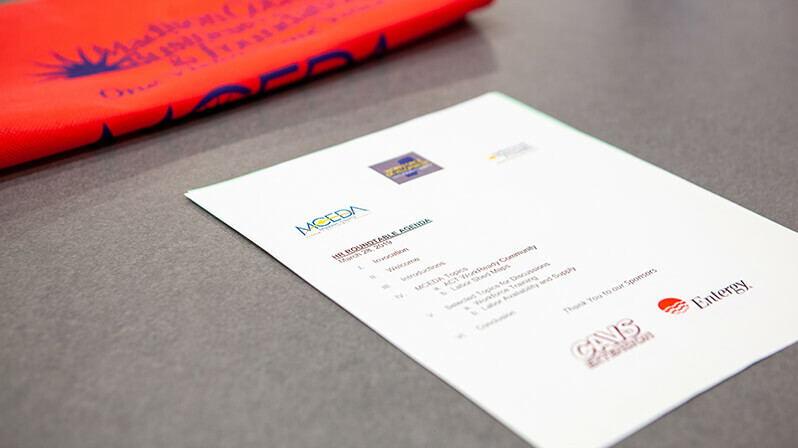 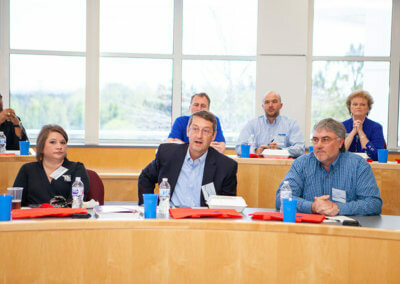 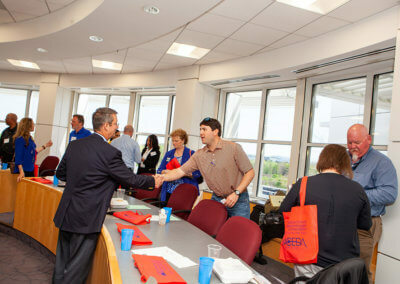 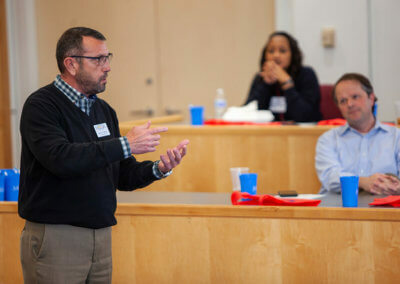 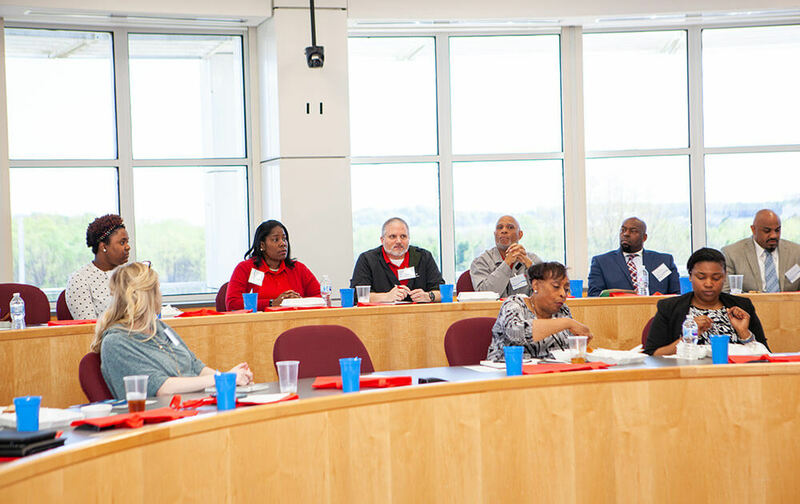 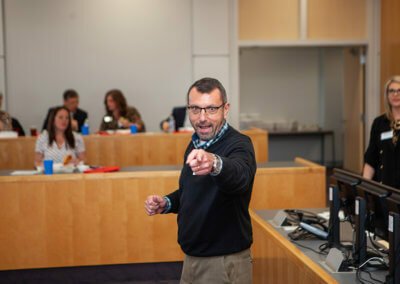 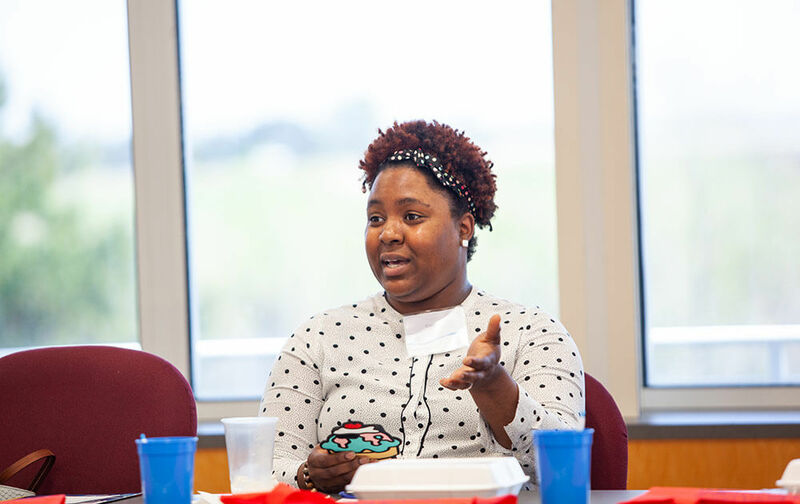 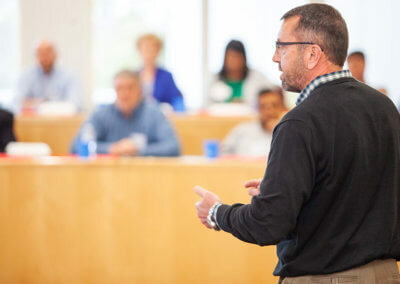 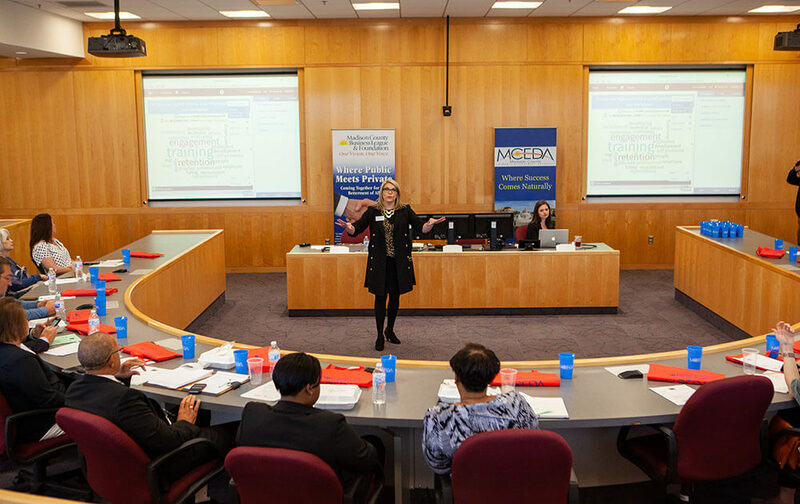 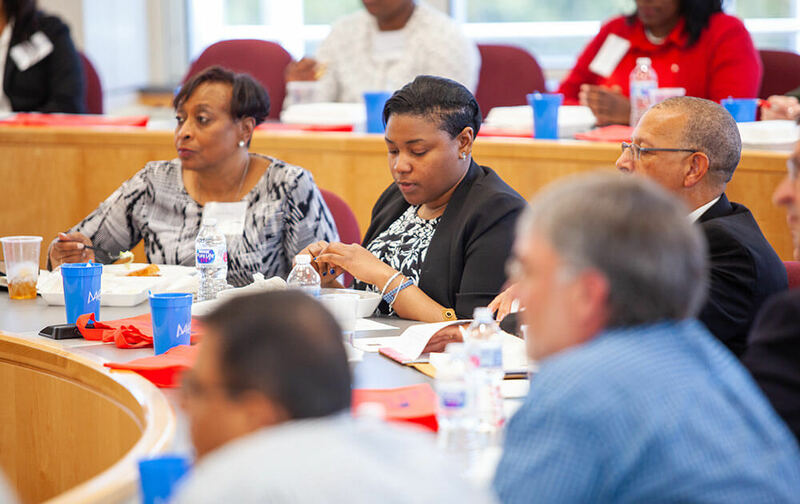 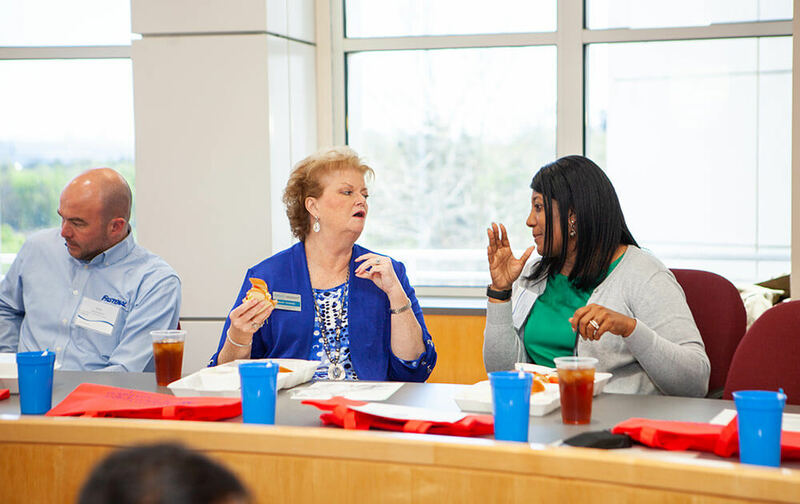 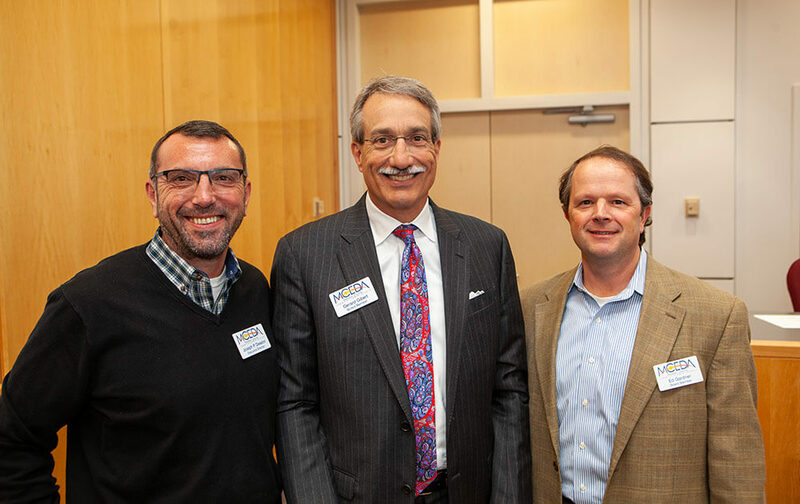 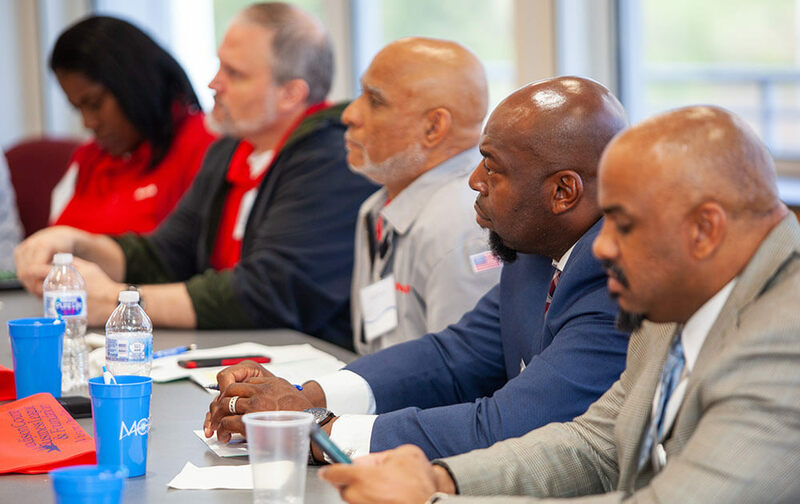 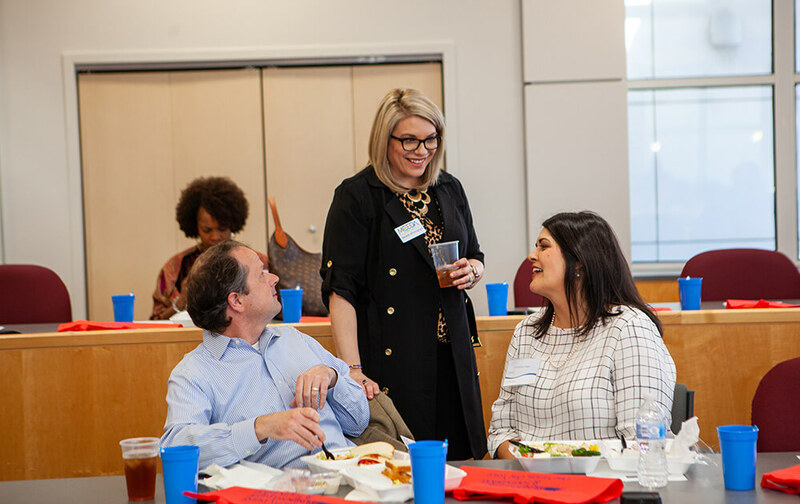 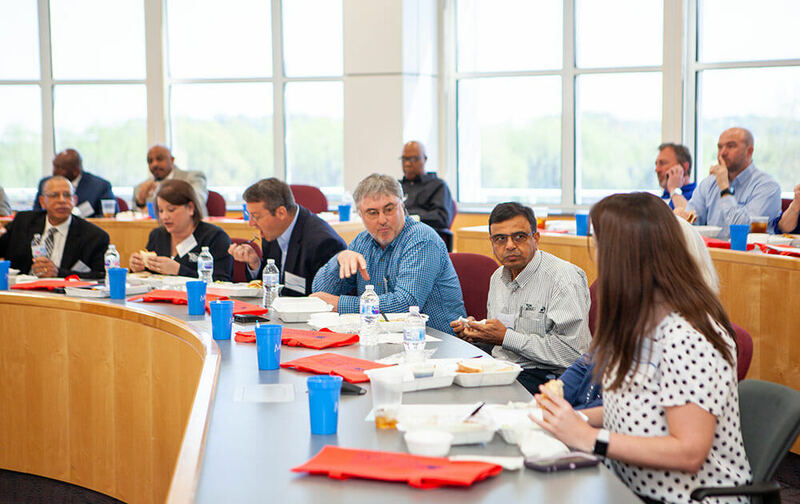 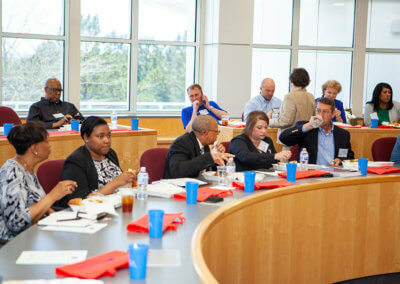 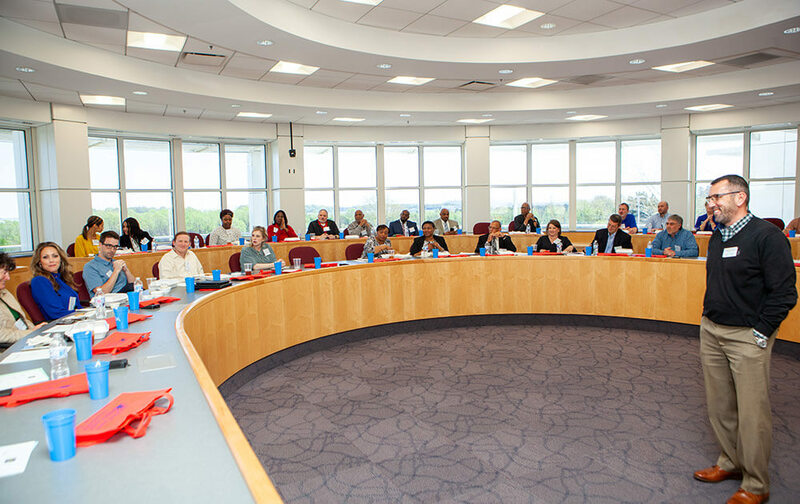 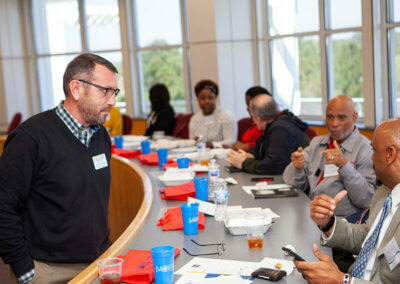 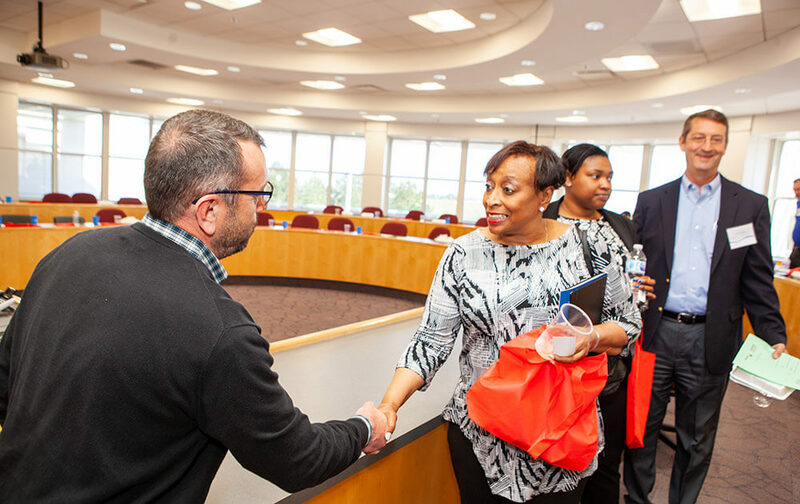 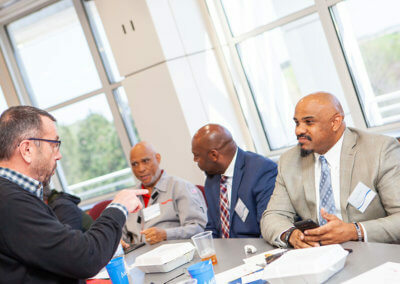 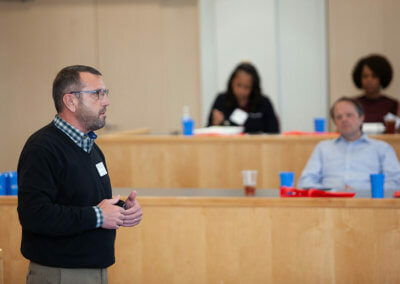 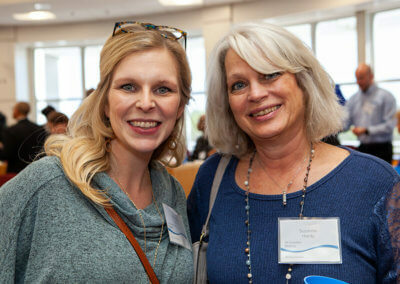 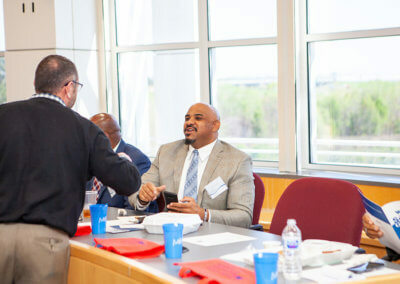 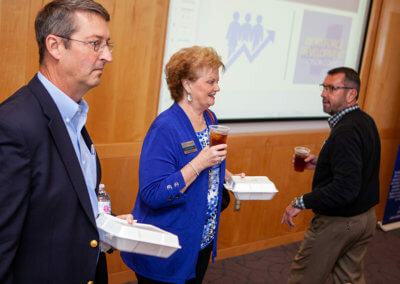 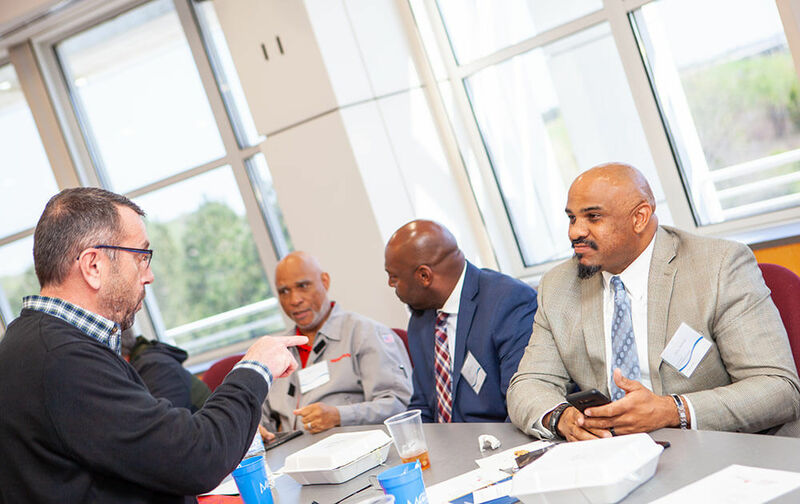 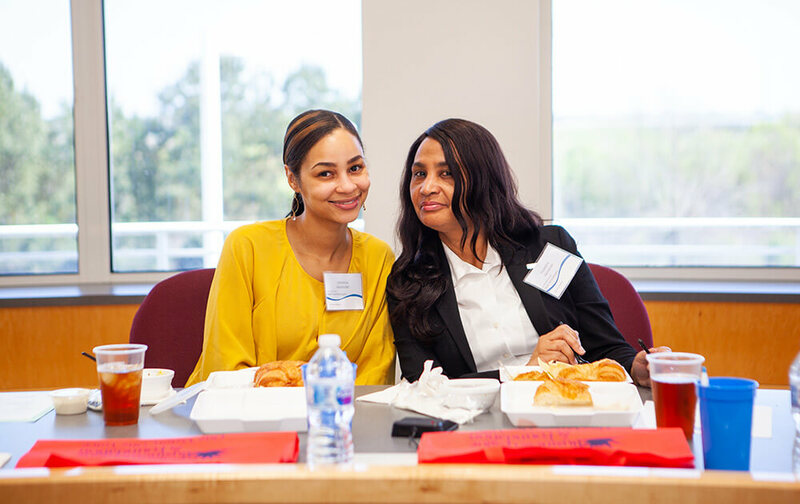 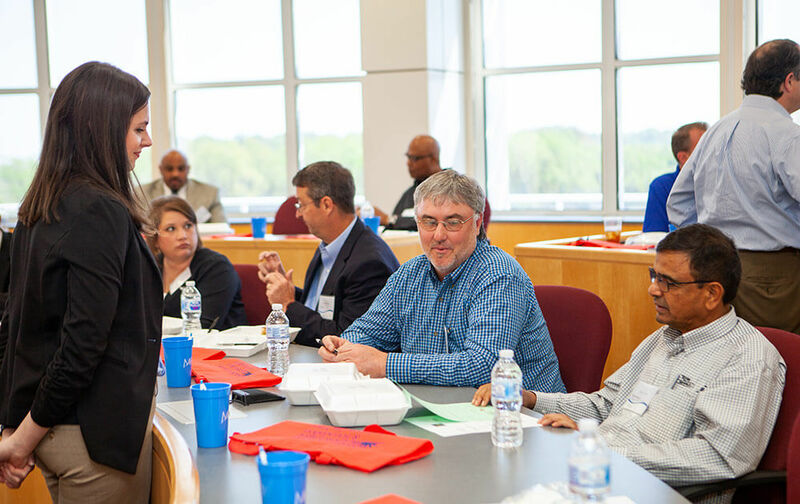 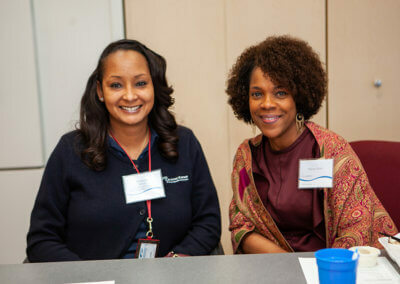 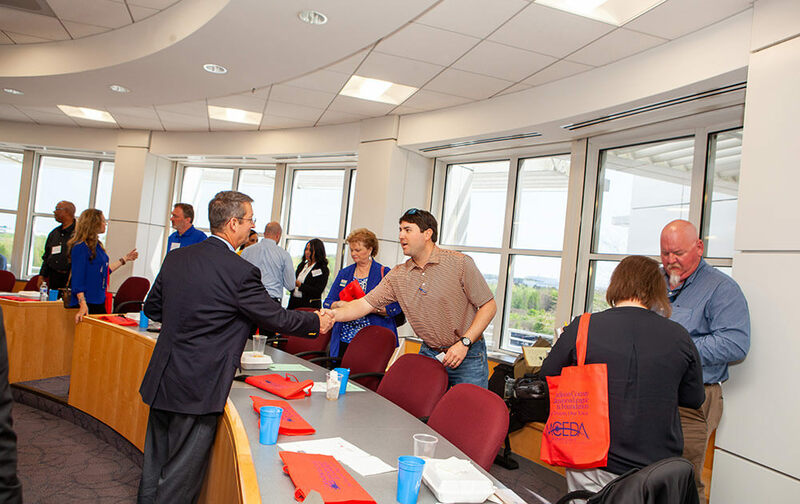 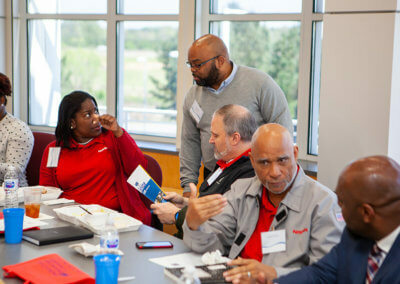 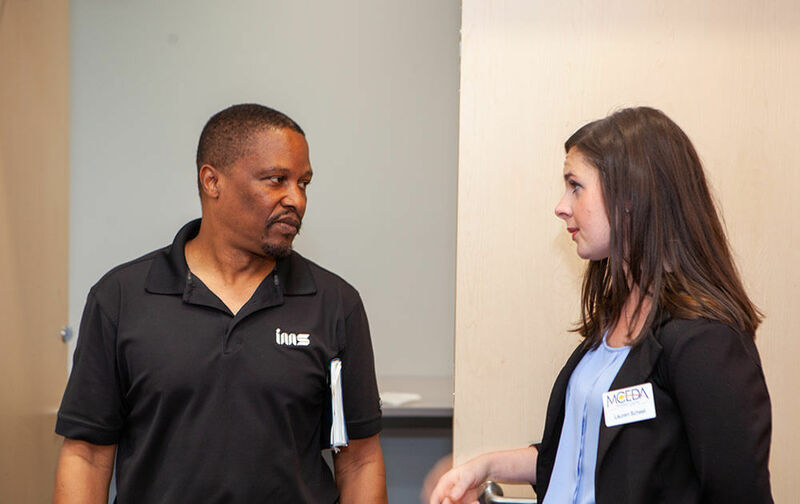 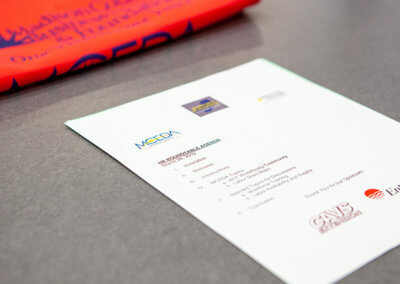 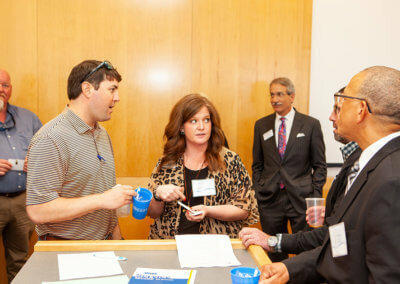 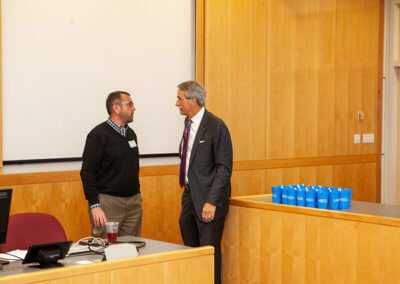 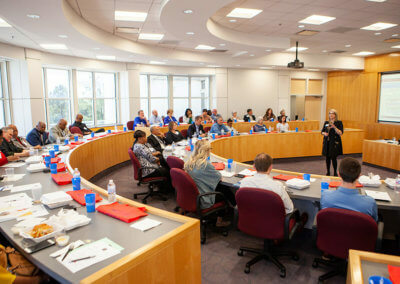 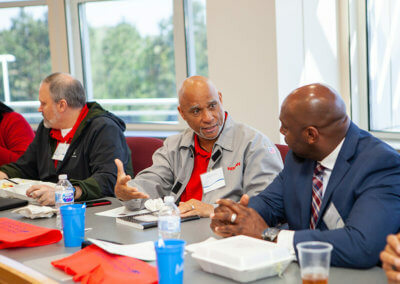 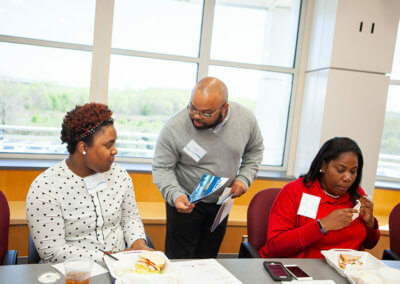 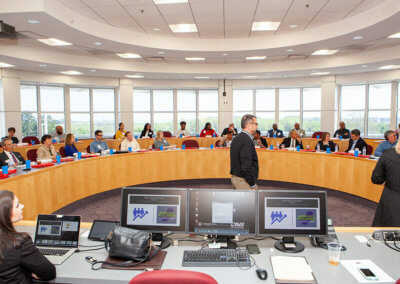 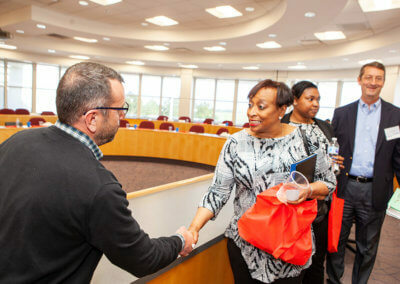 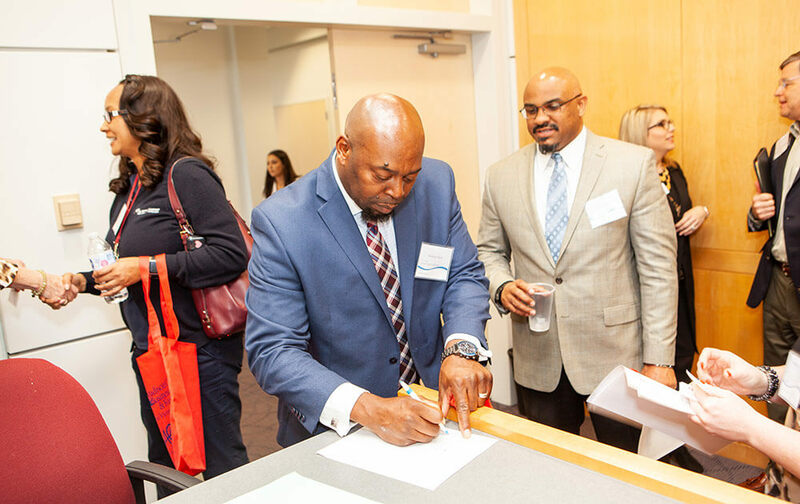 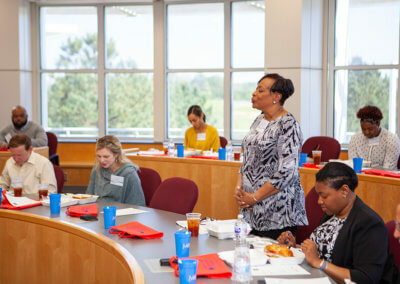 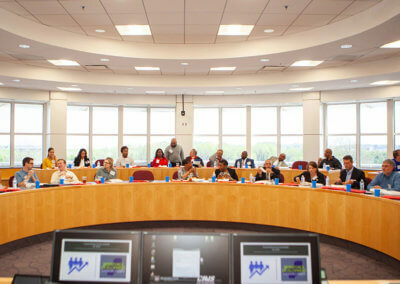 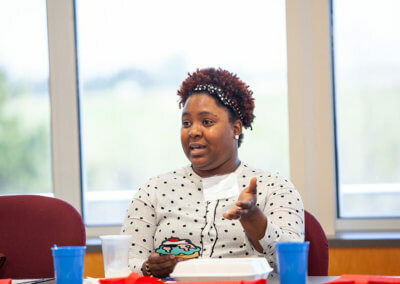 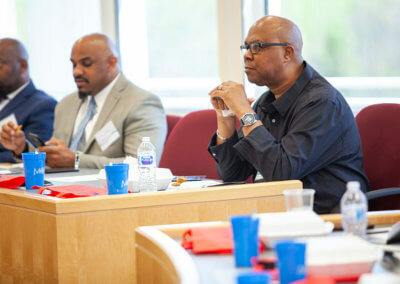 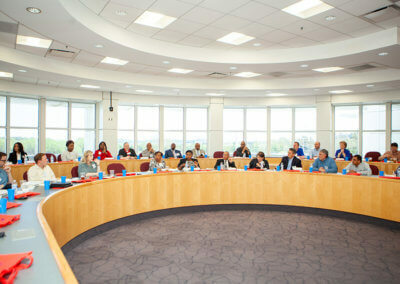 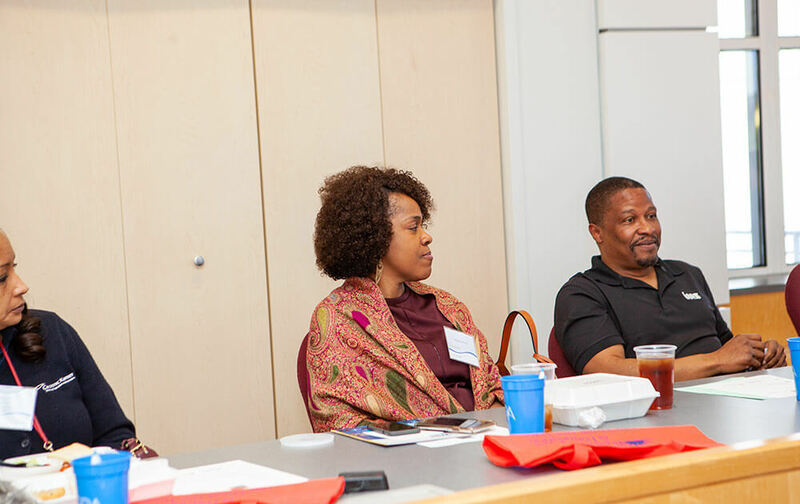 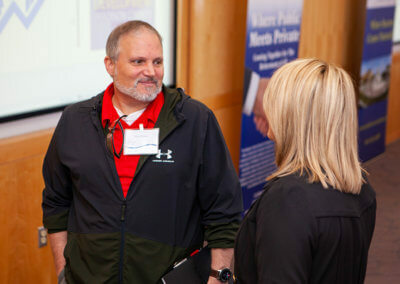 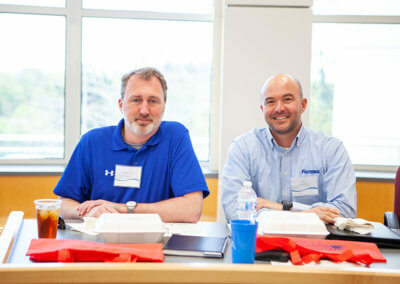 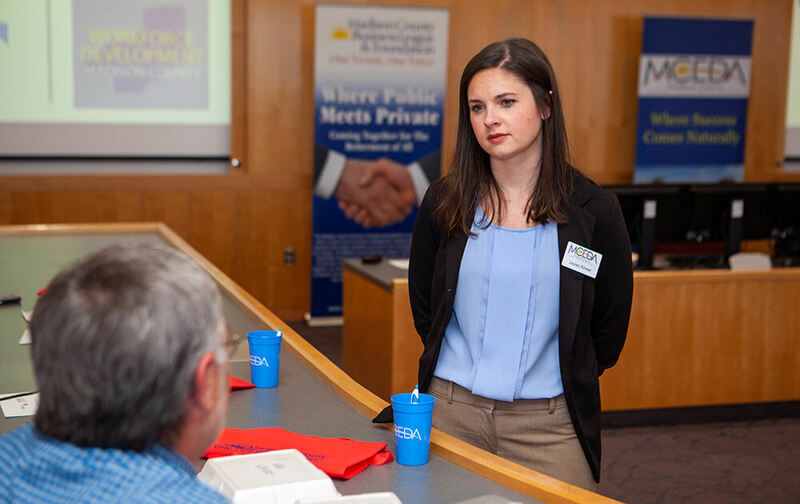 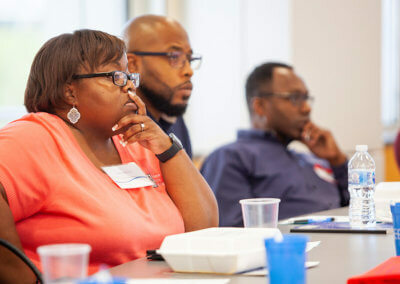 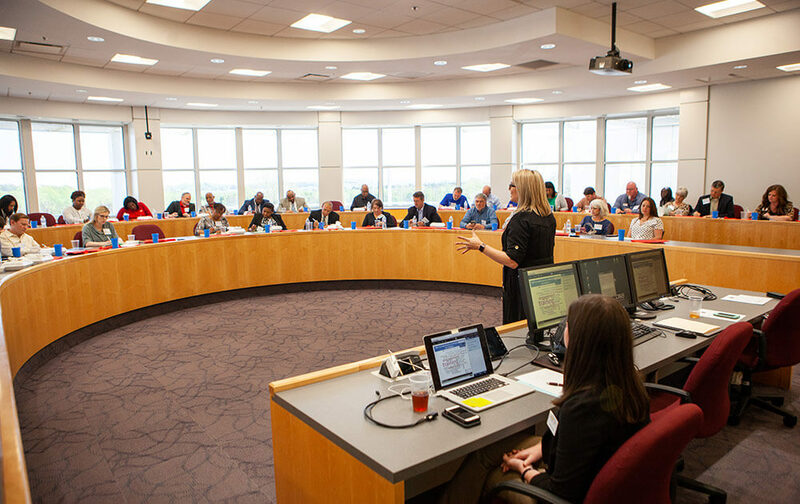 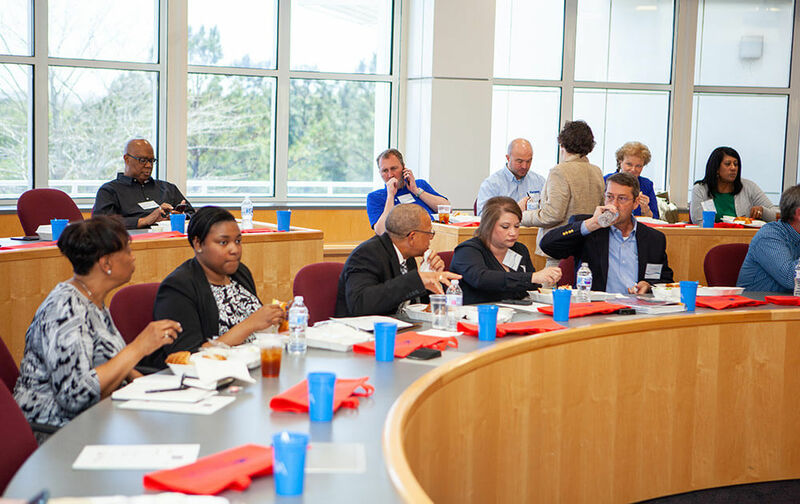 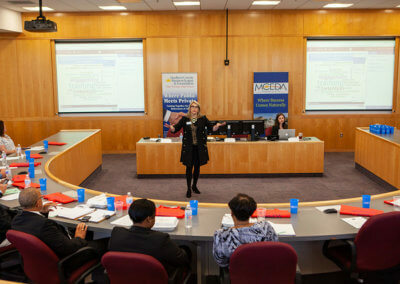 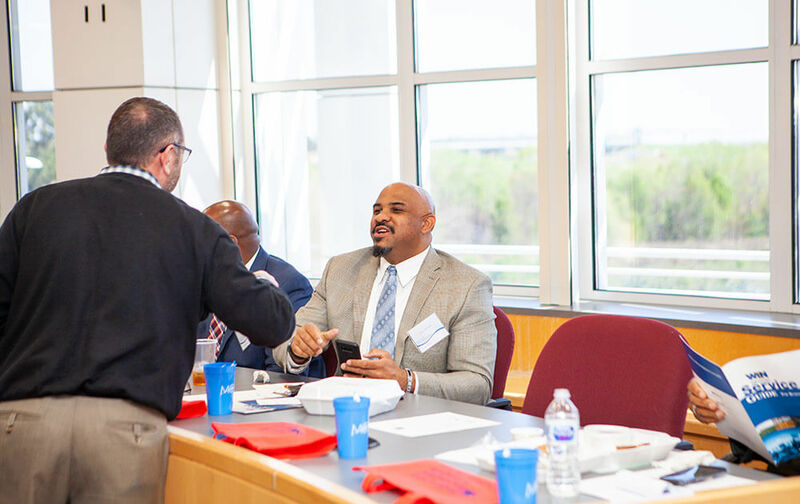 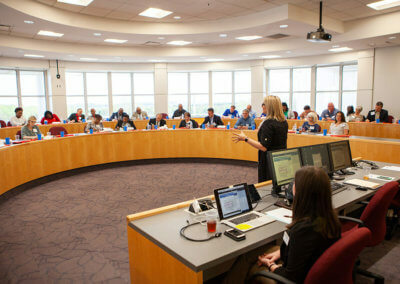 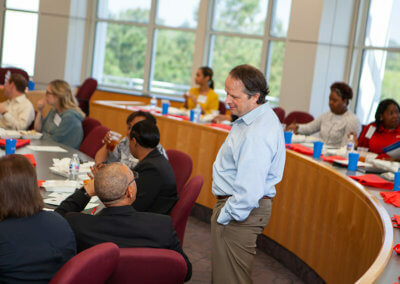 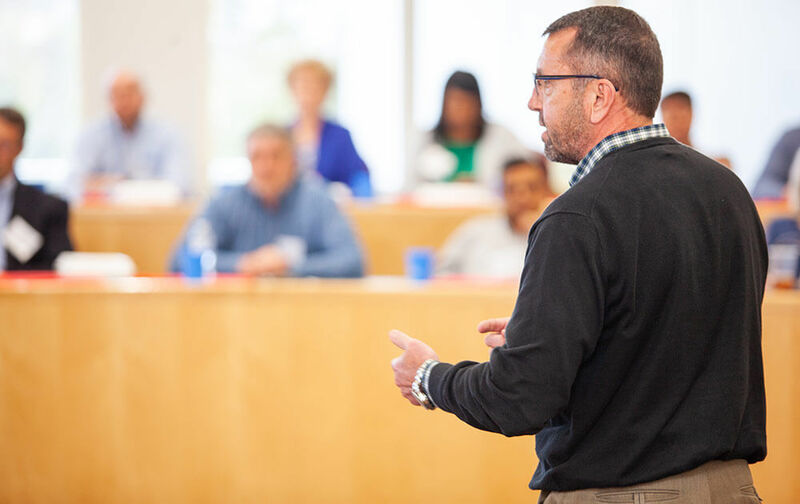 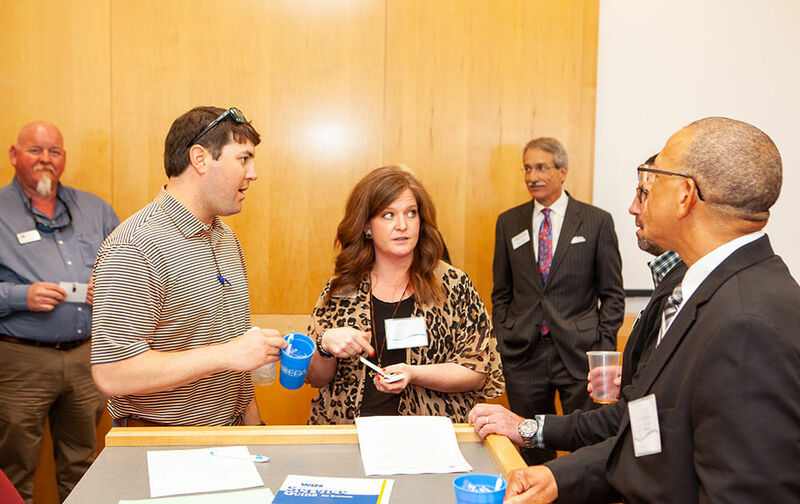 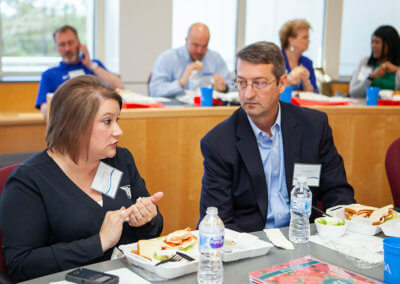 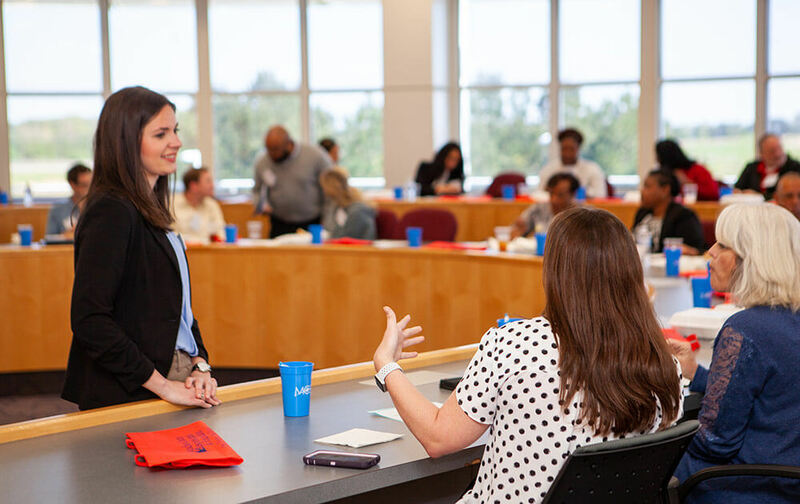 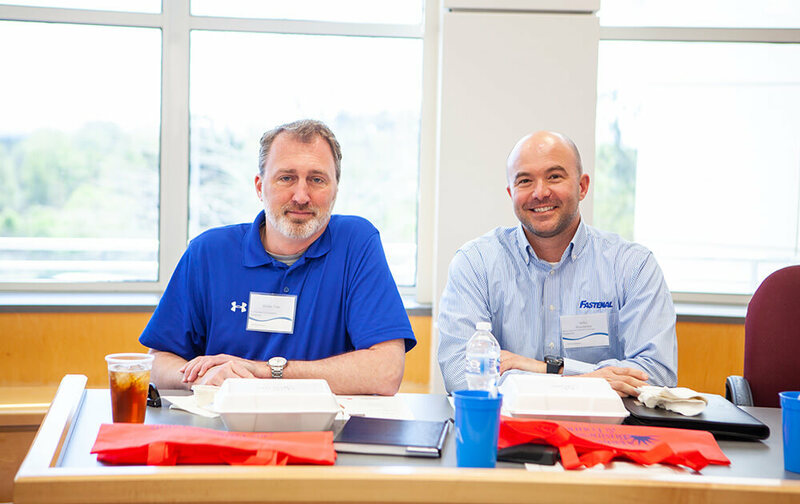 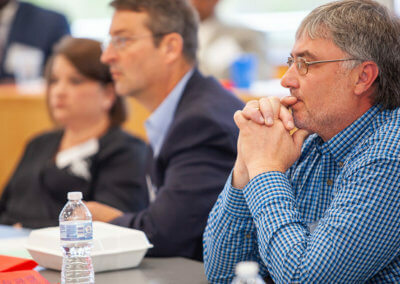 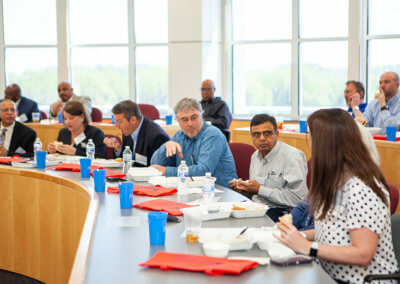 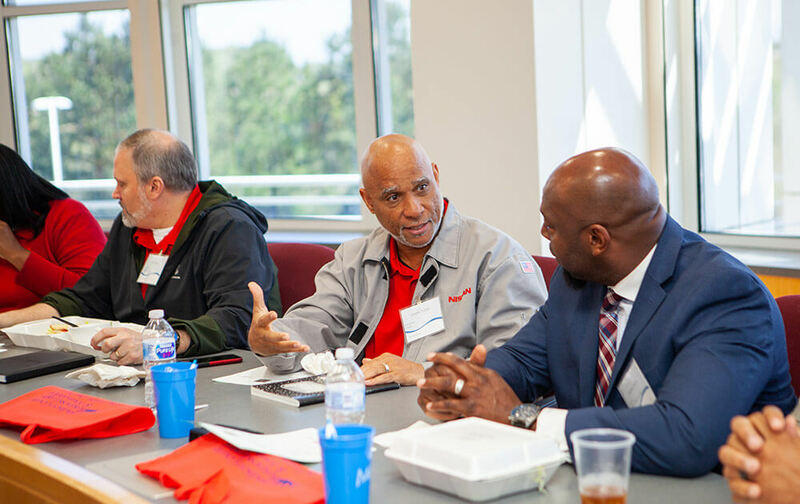 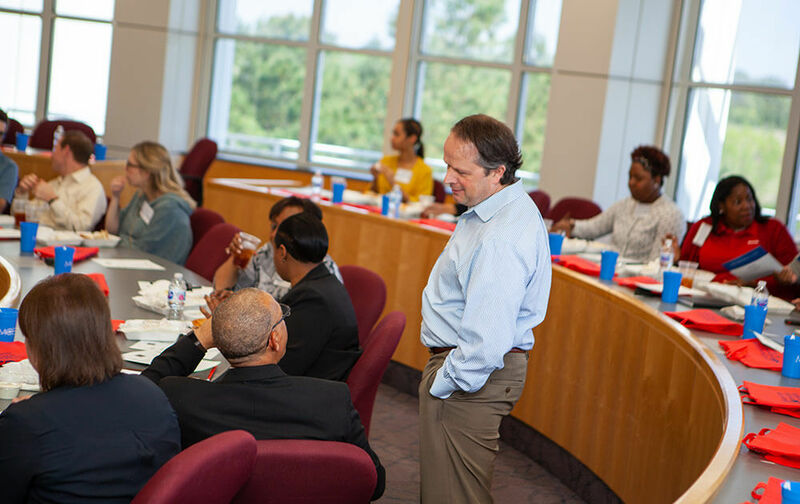 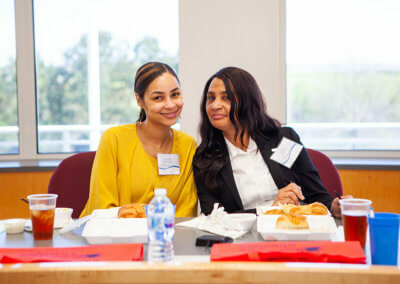 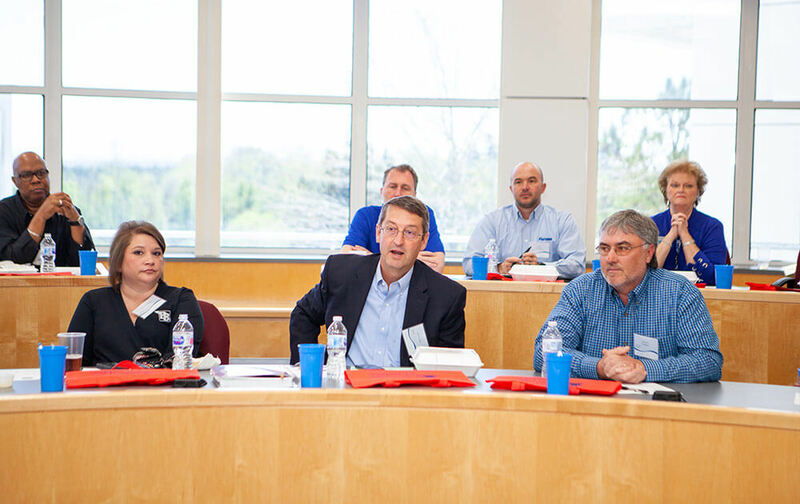 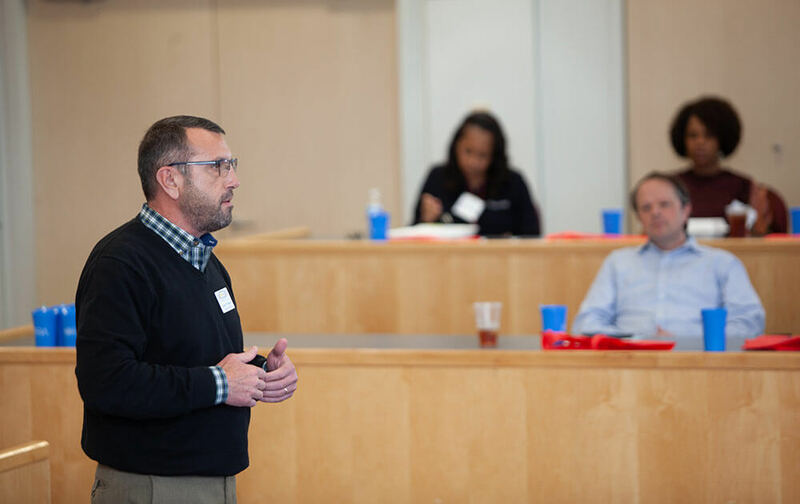 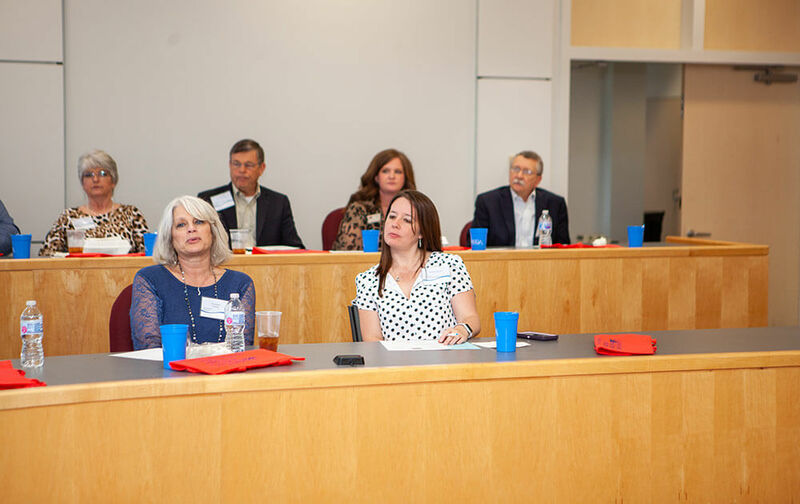 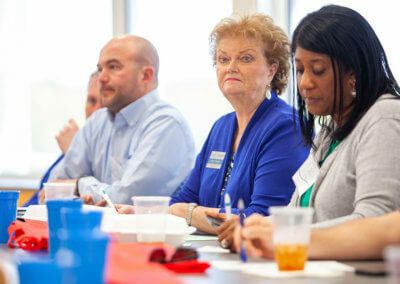 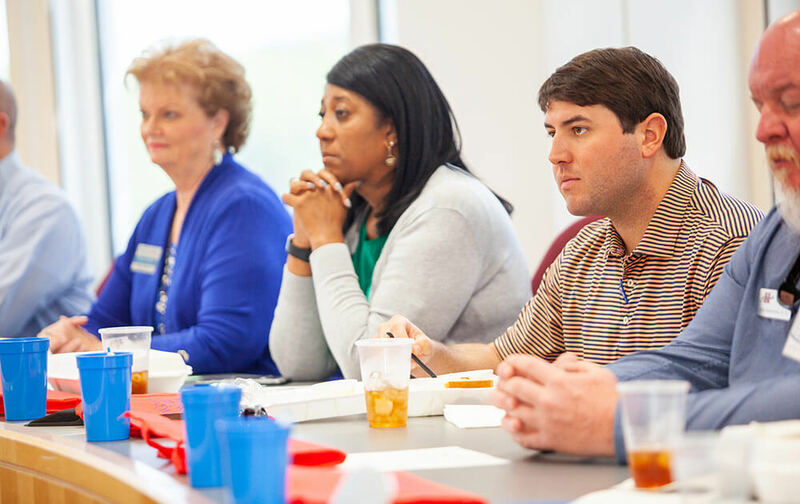 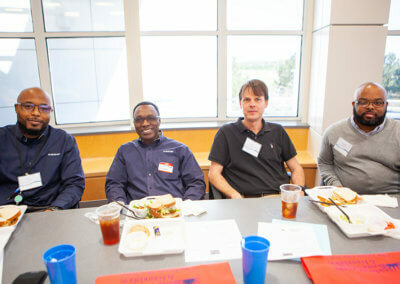 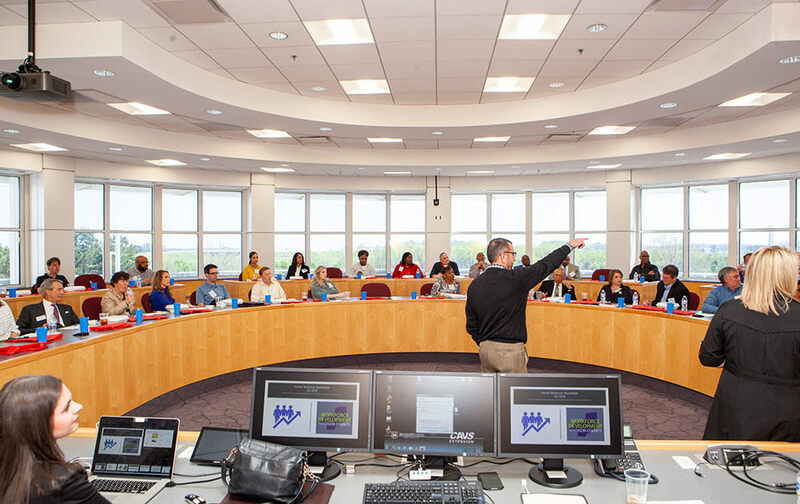 MCEDA and MCBLF kicked off Madison County’s Industry HR Roundtable Luncheon on March 28, 2019. 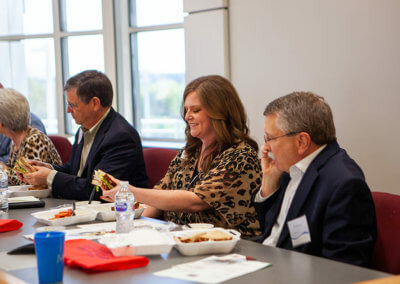 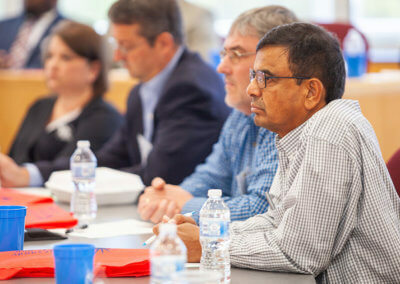 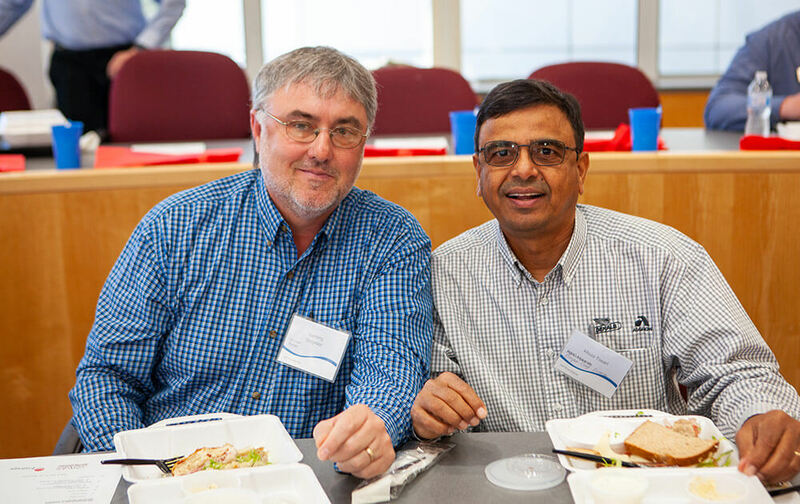 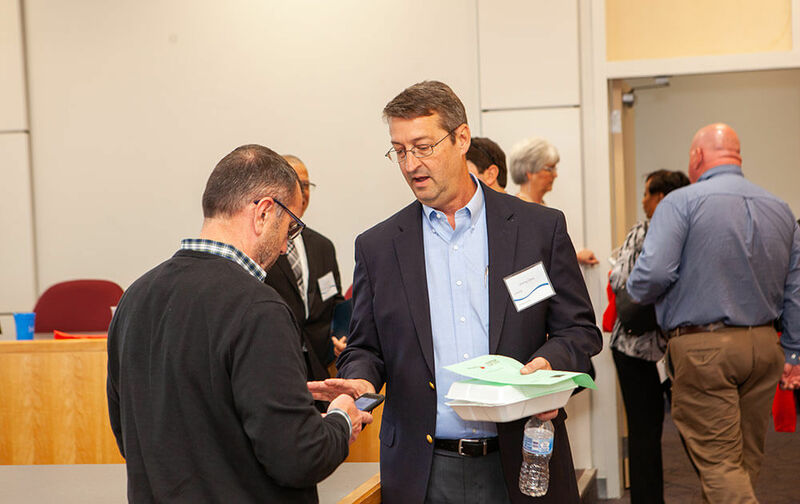 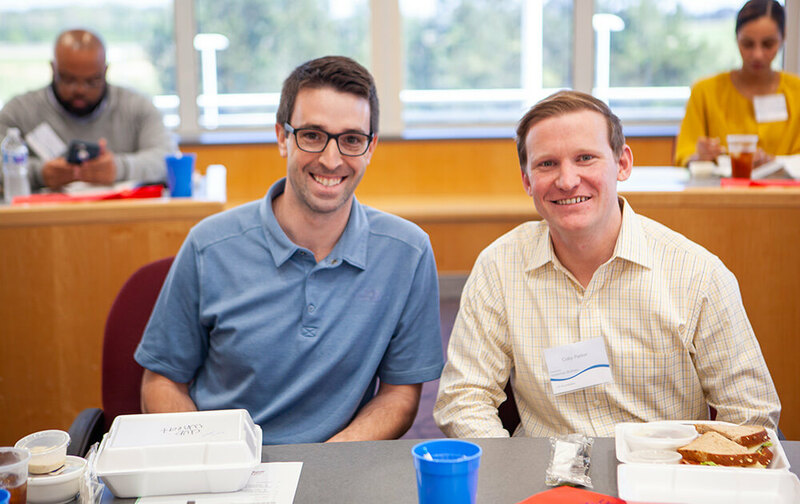 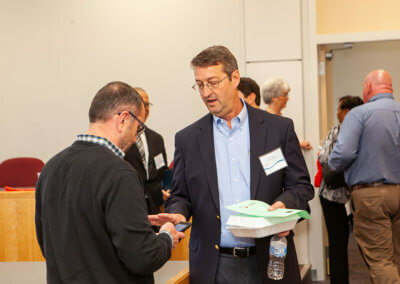 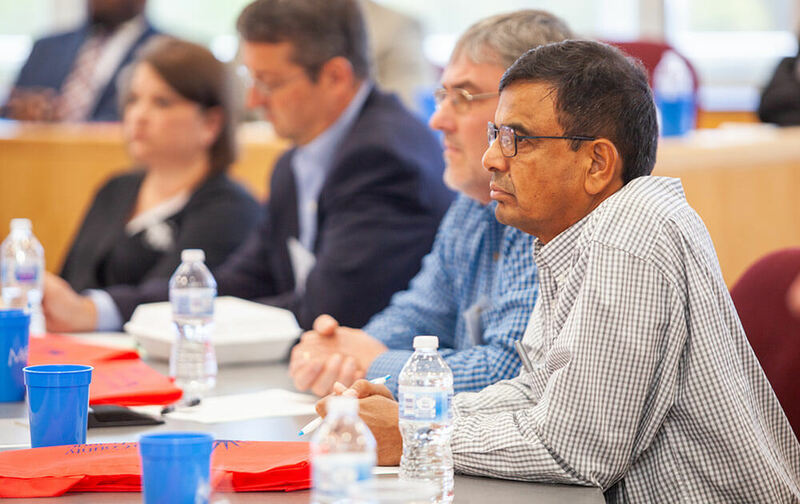 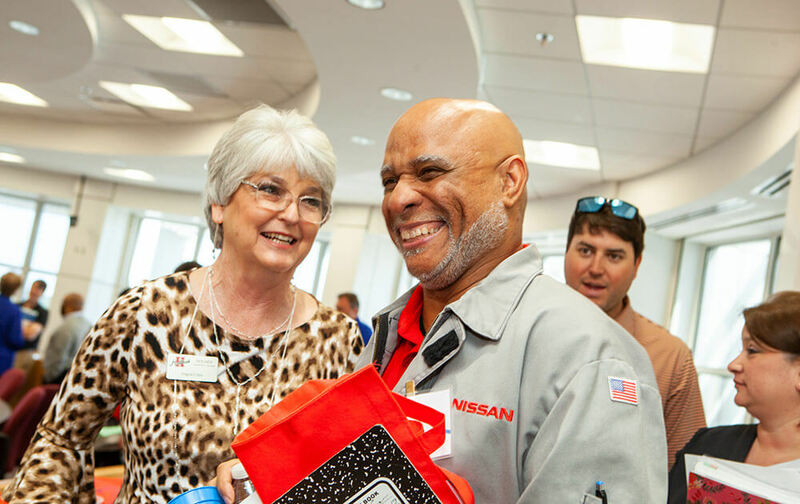 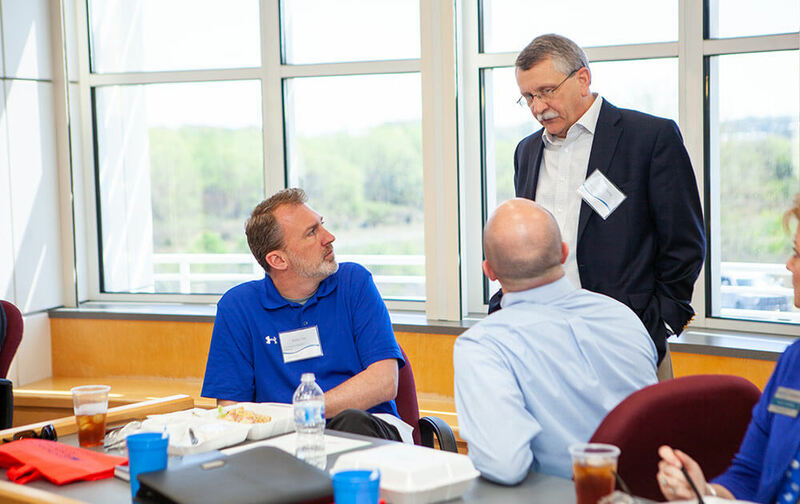 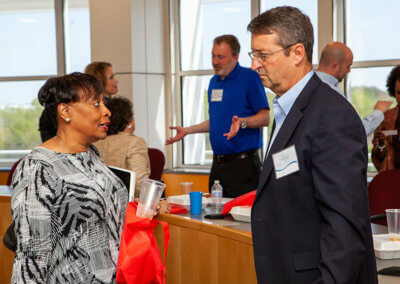 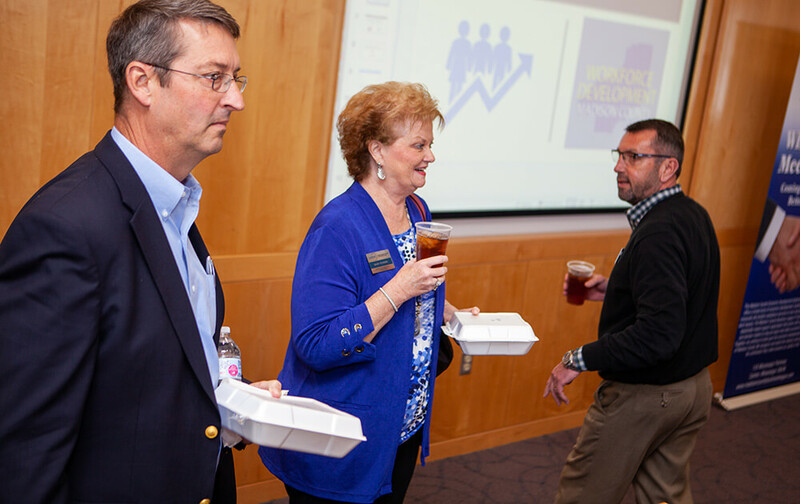 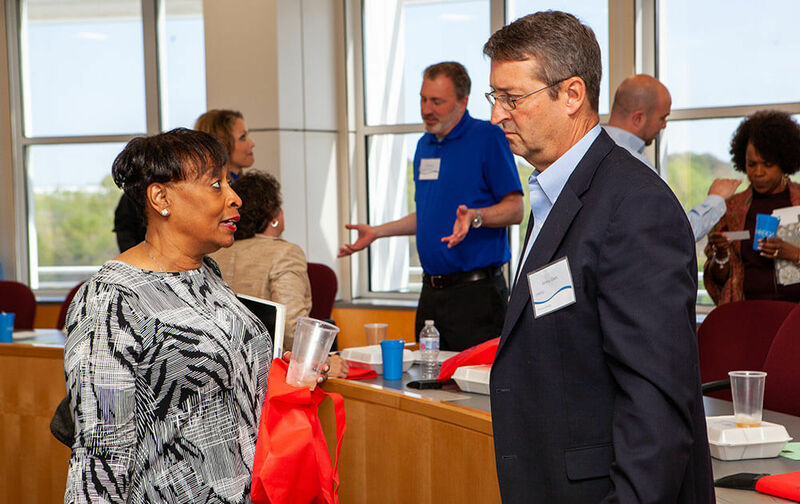 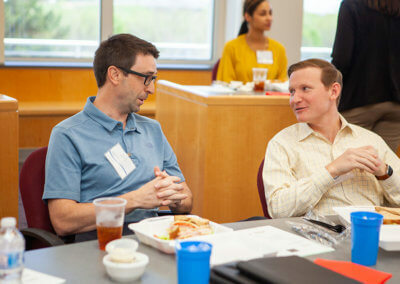 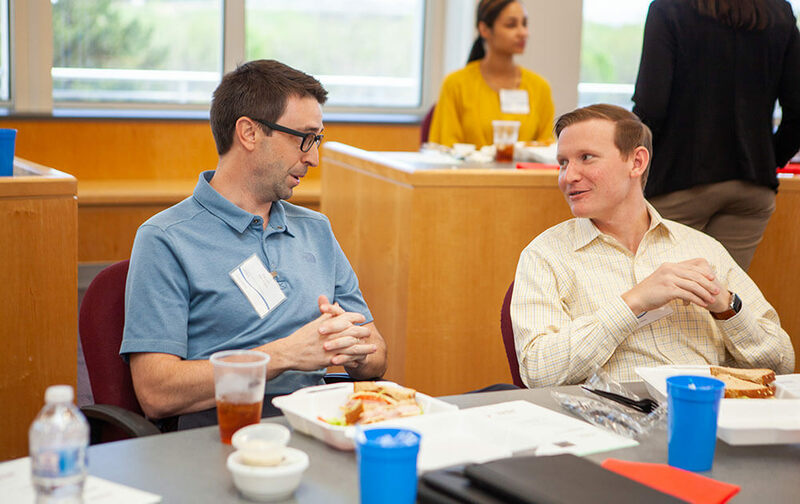 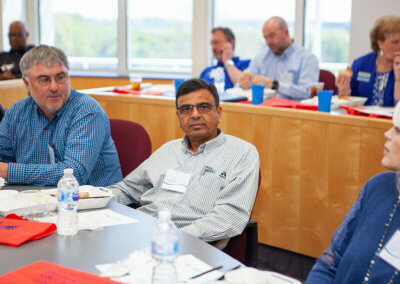 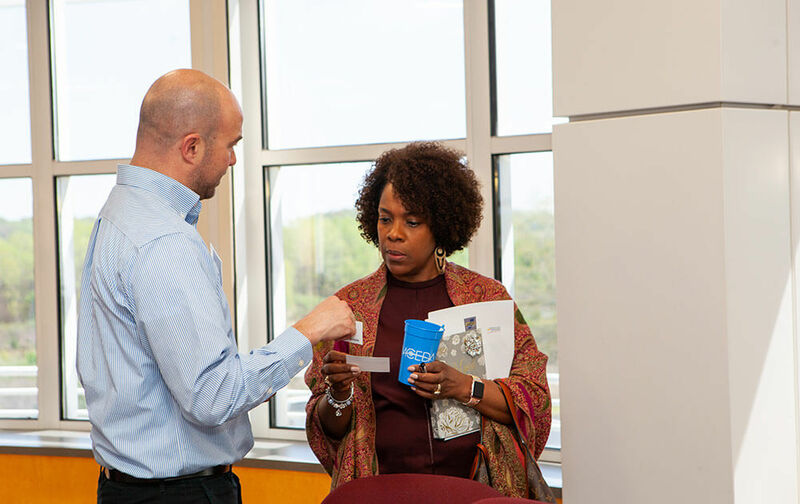 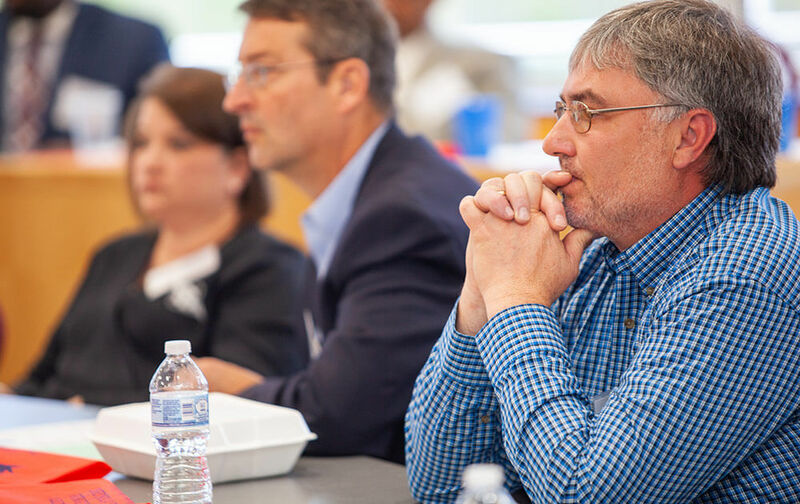 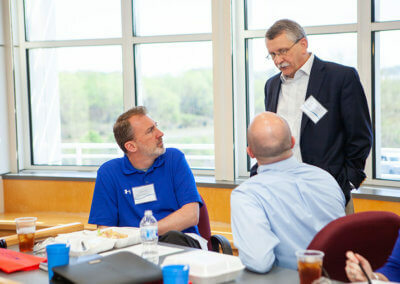 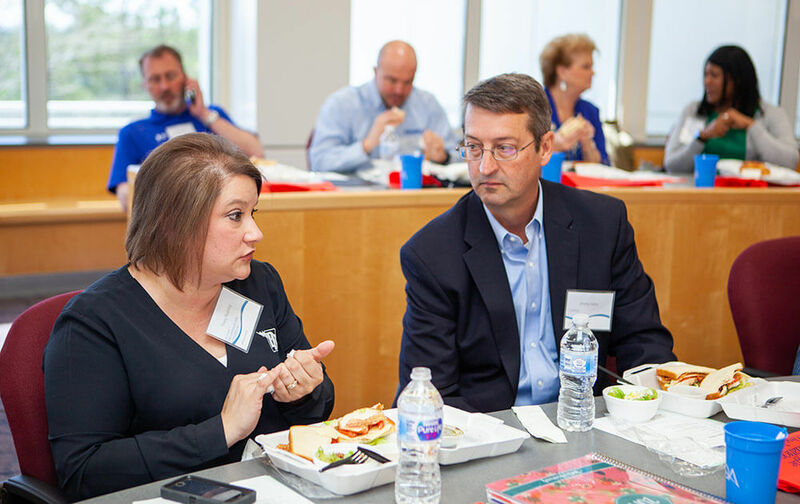 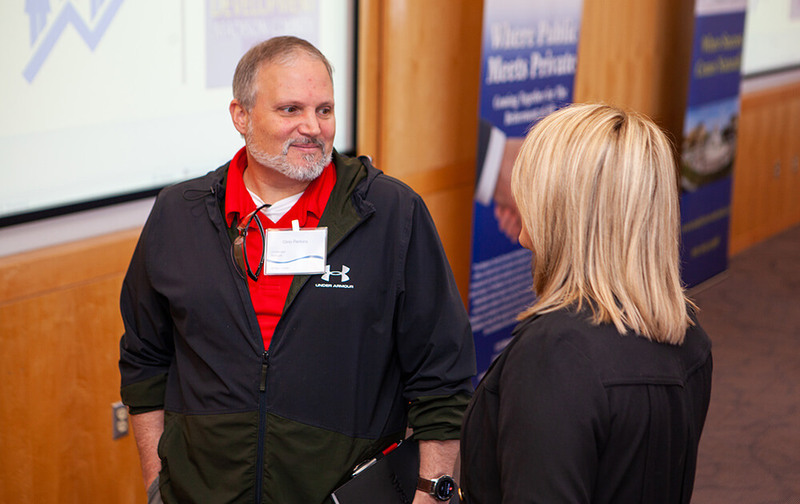 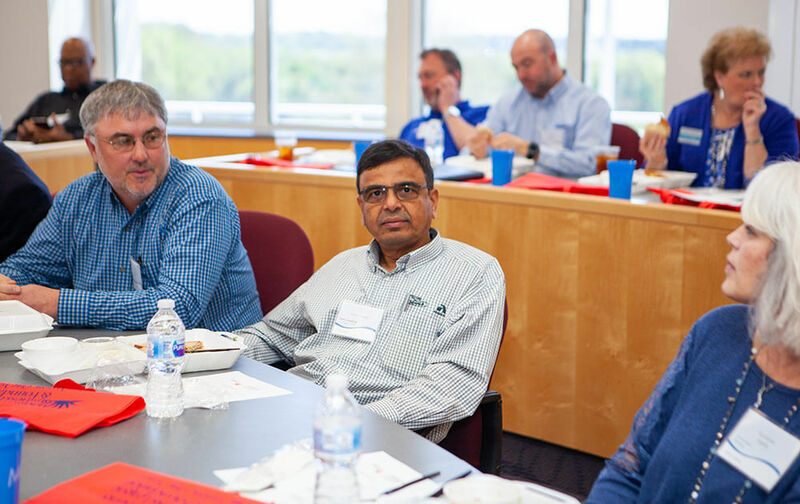 During the luncheon, 50 HR Directors and Senior Managers representing 26 Madison County companies came to network, share ideas, and collaborate to address workforce strategies in Madison County. 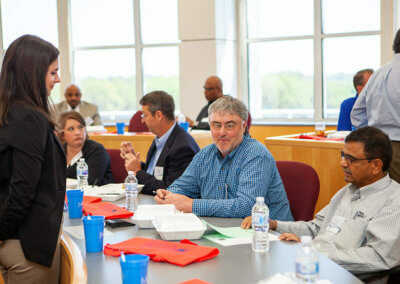 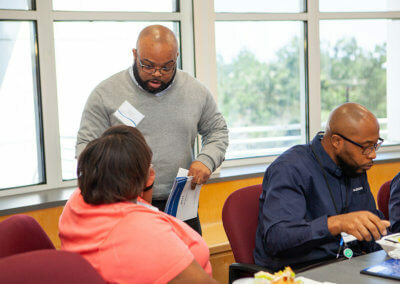 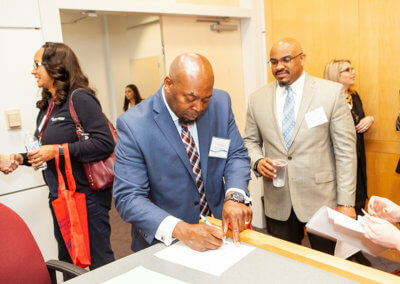 Workforce partners Holmes Community College, MDES, MDRS, CMPDD, CAVS Extension and Canton Public Schools were in attendance as well. 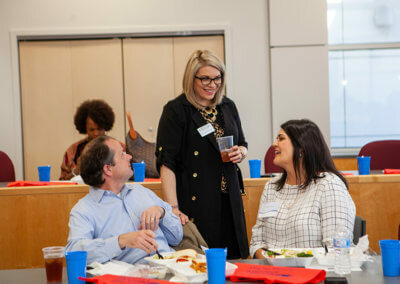 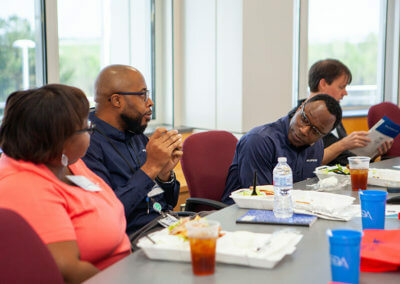 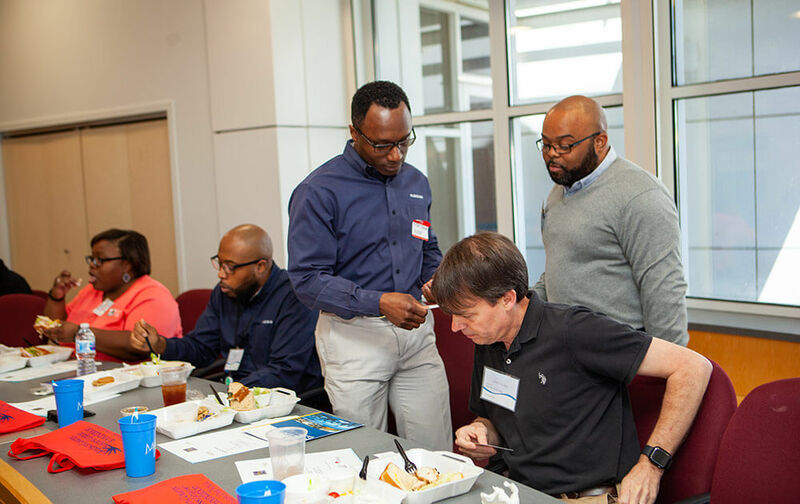 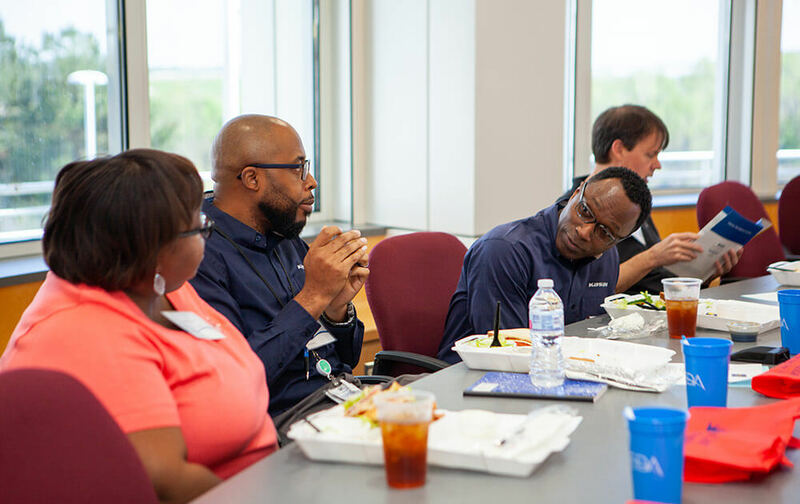 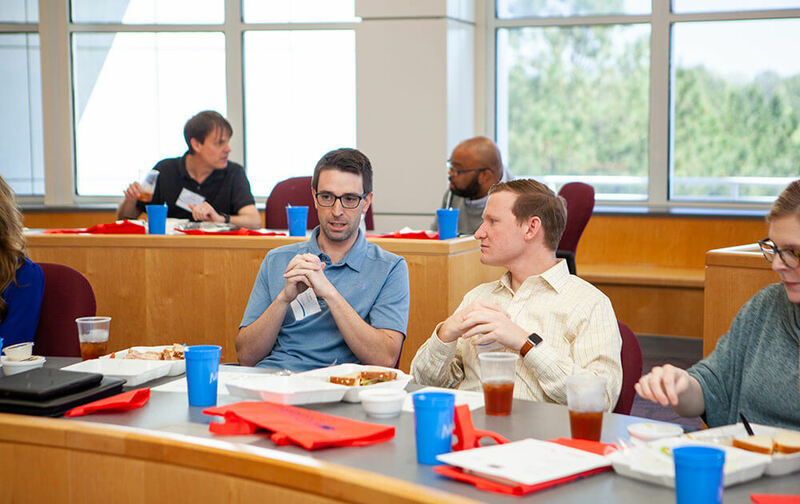 Thank you to Entergy and CAVS Extension for sponsoring our Q1 2019 HR Roundtable Luncheon.